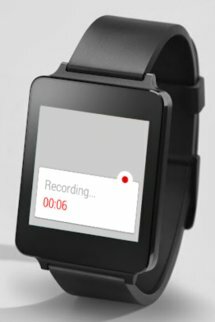 You would think the pace of Wear apps would slow down after the initial rush to be the first to do one thing or another, but no. Big no. 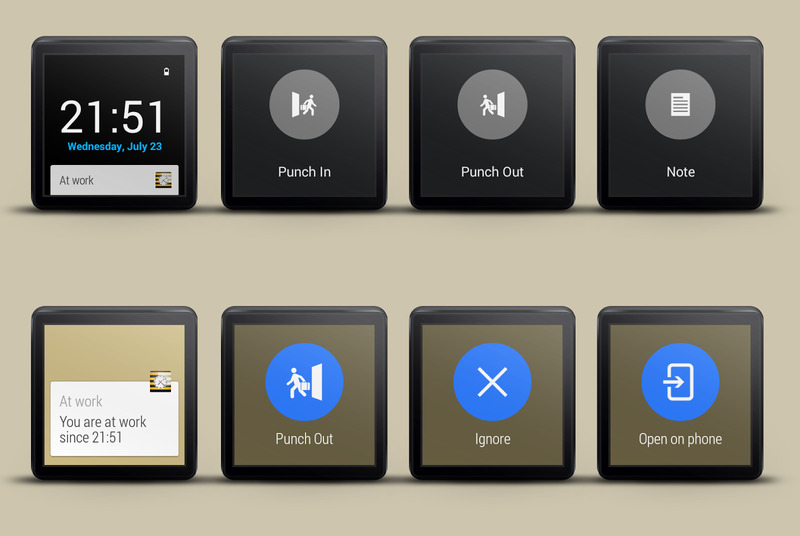 The flow of new Wear-enabled apps has yet to abate, so the roundup is back a little early to show you what's cool and new in the Android Wear universe. 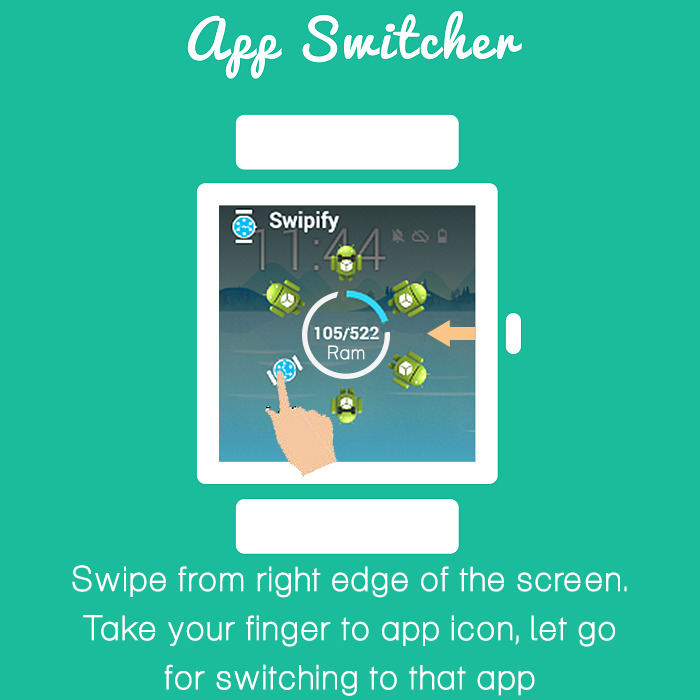 There's no app switcher button on Android Wear, but Swipify sort of adds one as an edge gesture. 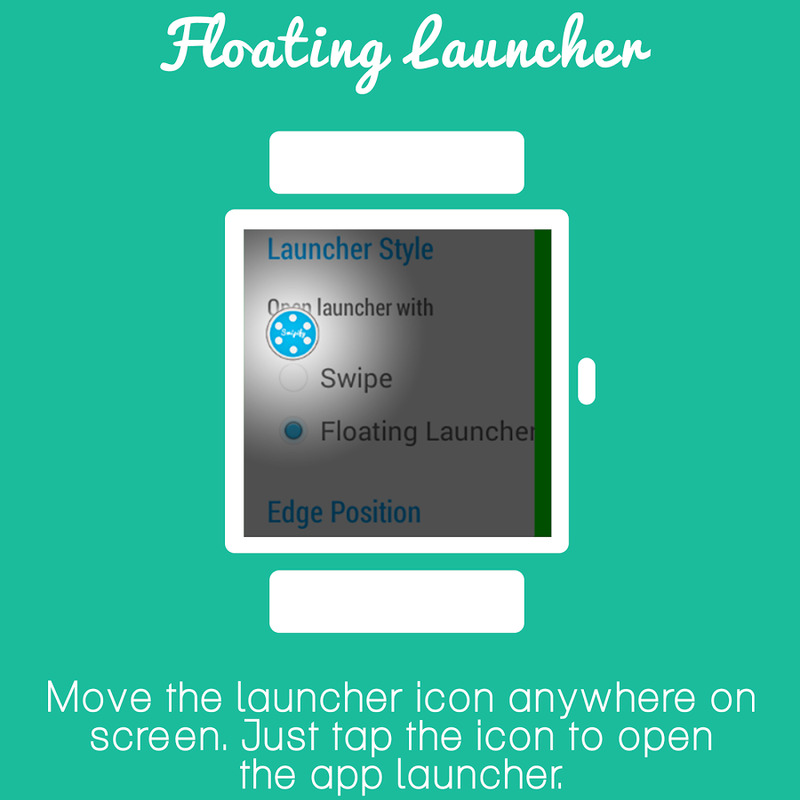 It's a bit like Wear Mini Launcher, but that app doesn't include the recent app list. 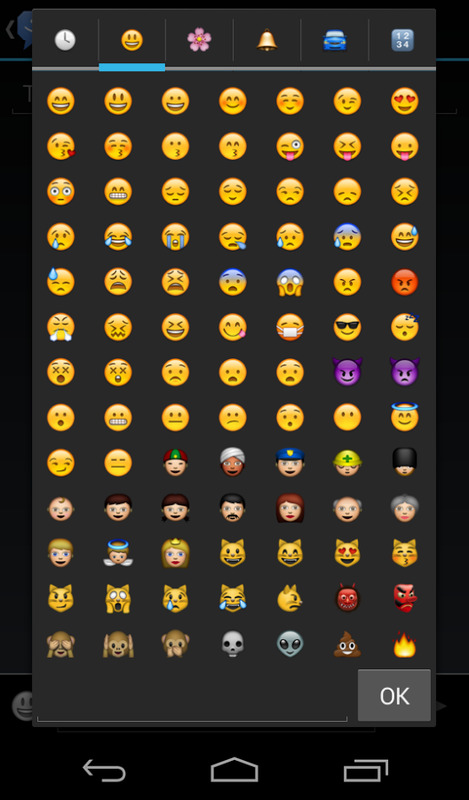 This app was a little buggy when I tried it, but it's a work in progress beta. Very promising, though. 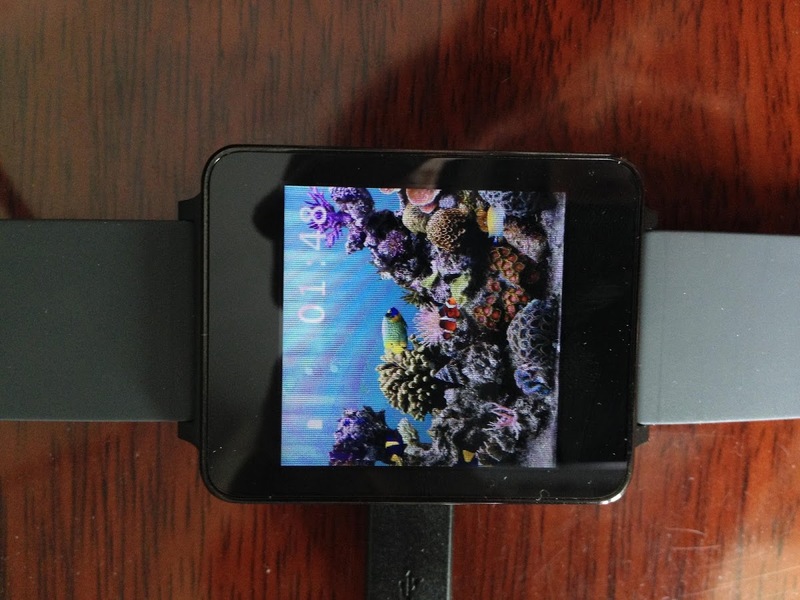 Android wear is cool but there are a few major deficiencies. 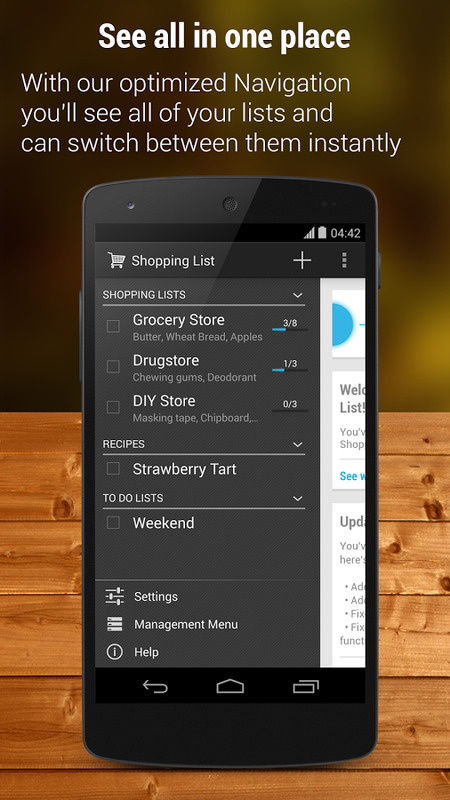 There is not multitasking mechanism & there is no easy and intuitive way to launch the apps. 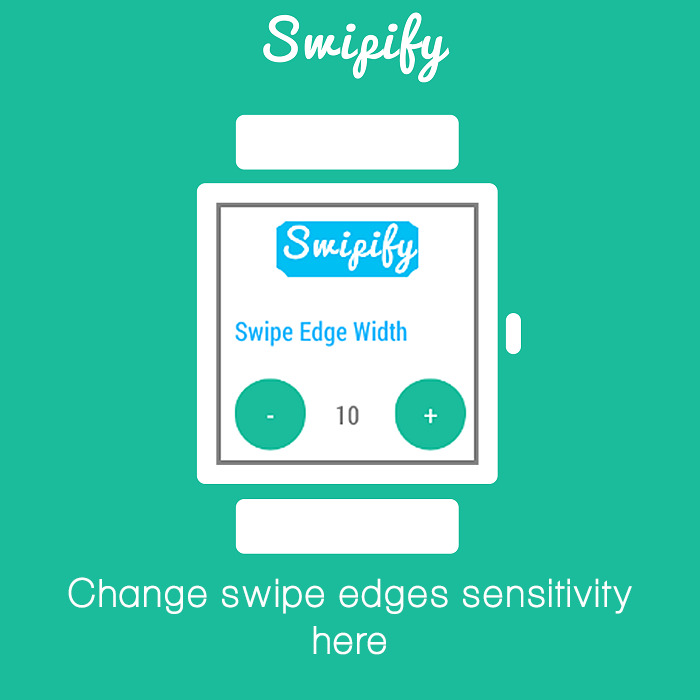 Swipify is designed to revolutionize multitasking, app switching & app launching on Android Wear. 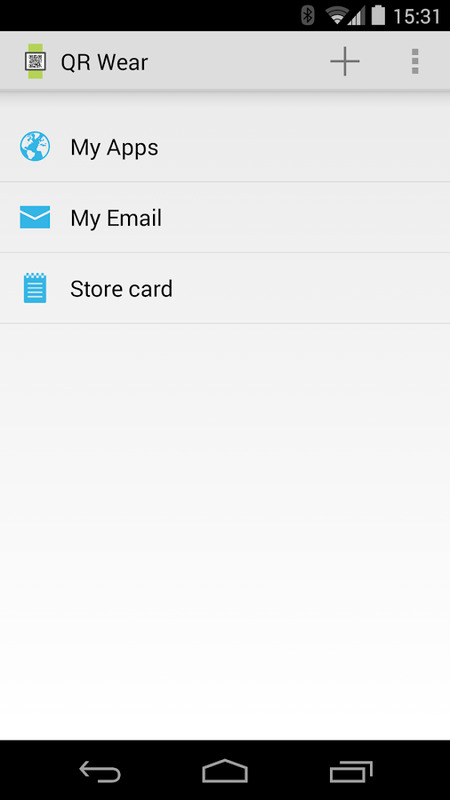 • This is the BETA release so feel free to mail me the bugs. 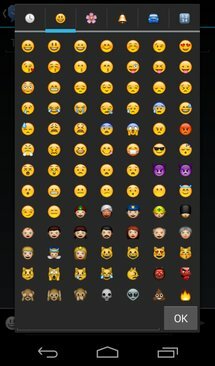 Please don't rate the app based on the bugs in this BETA build. • Floating launcher - Open the app launcher anywhere in the system with a single tap on the launcher icon. 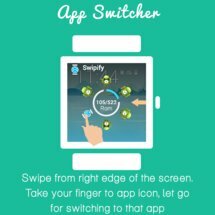 • Shows ram usage on App Switcher screen. 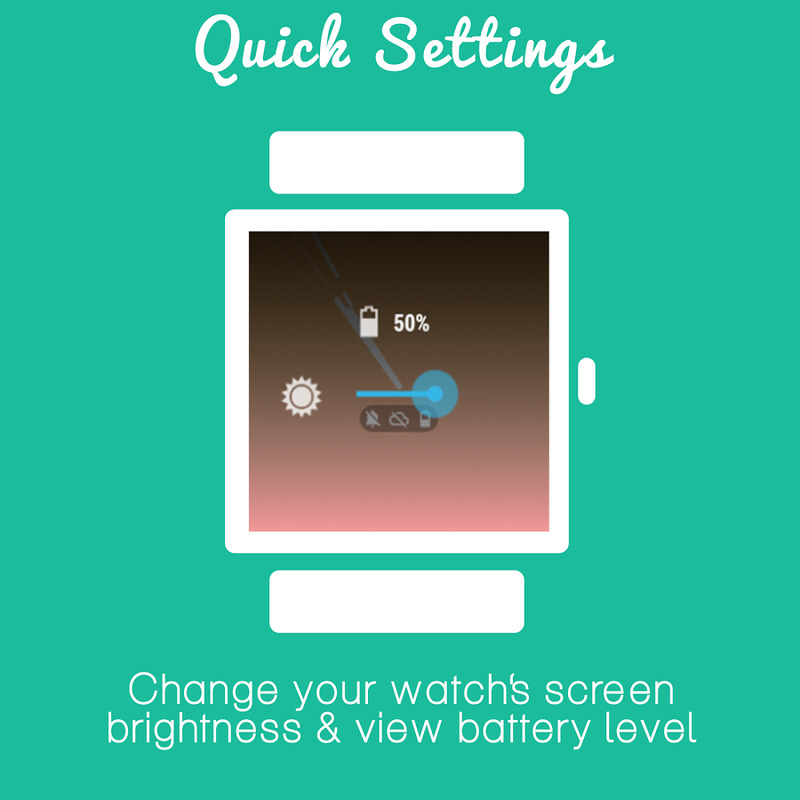 • Quick Settings - Easily change brightness, volume profile & view smart watch battery level. 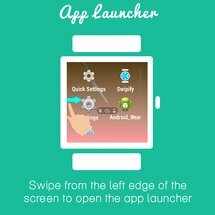 • To open the launcher, swipe from the left edge of the screen from any where on the system. If you need to keep track of something but don't want to devote the brain power to counting in your head, Wear Counter is the solution. 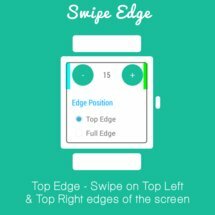 Tap or twist and the counter goes up by one. Simple and probably a good use for Wear. 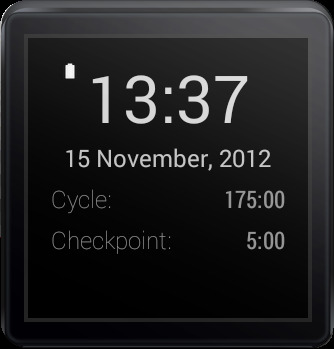 A simple, digital tally counter for your Android Wear device. 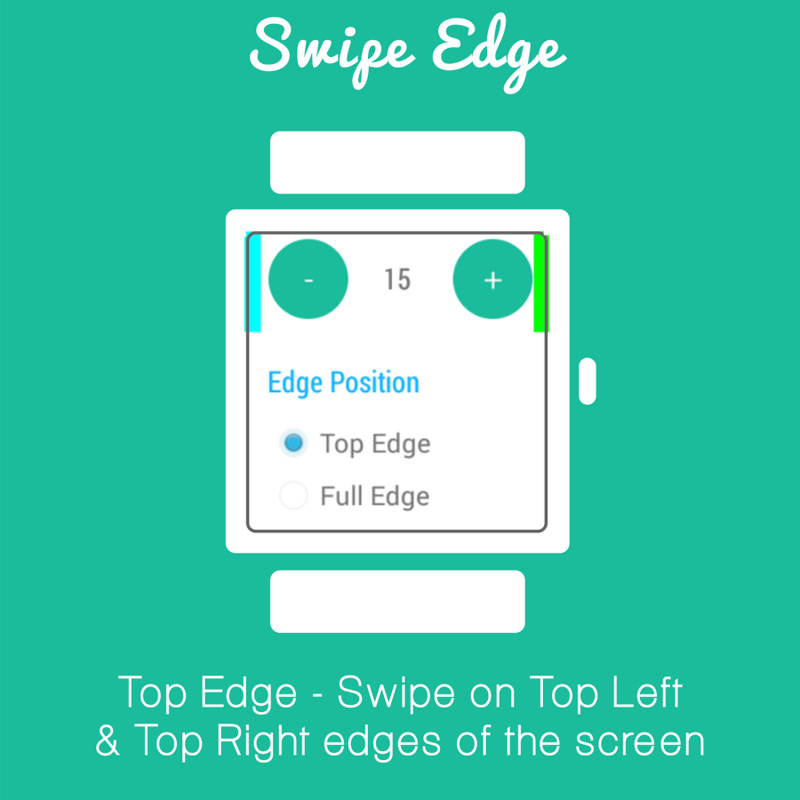 Just open it from the watch Start... menu and begin to count by tapping on the screen. 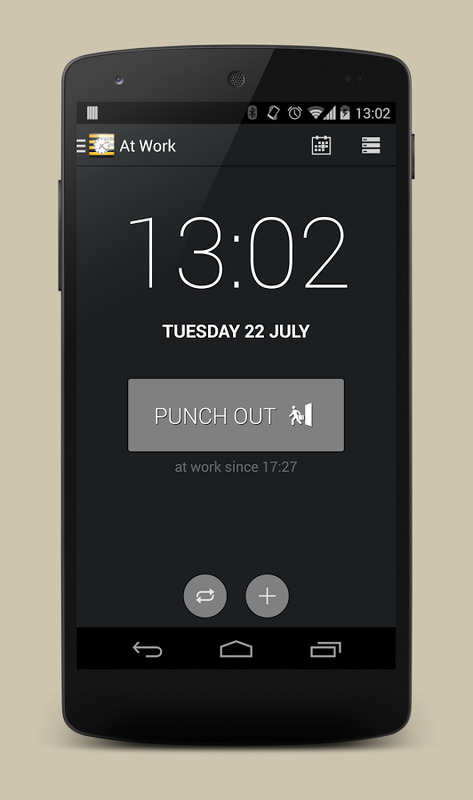 Or say "Ok Google, Start Wear Counter" to get it without a single tap. 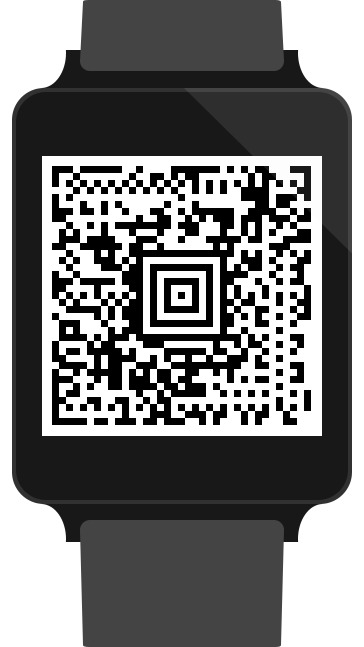 QR codes never really took off in most places, but they can be useful for passing bits of data between people. Well, less so if you have to take your phone out every time to display the code. That's where QR Wear comes in. 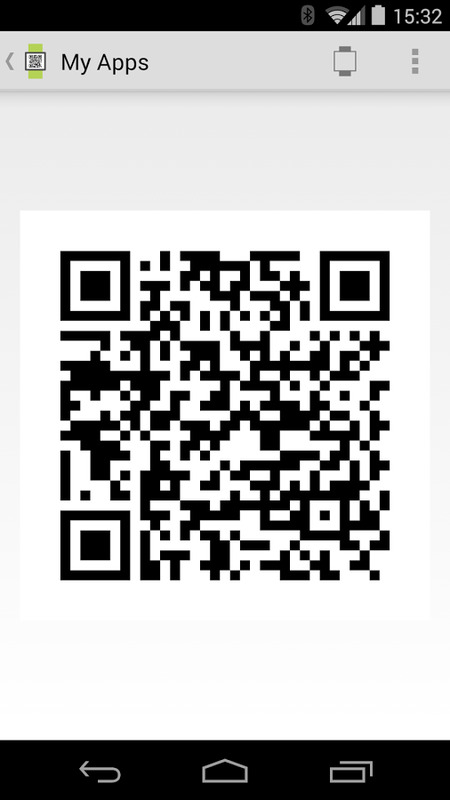 Simply create your QR codes in the phone app and push them over to the watch. 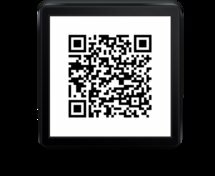 QR Wear is an easy way to bring up a handy list of QR Codes for scanning without taking out your phone, use it for sharing your email address, web sites, loyalty cards, boarding passes, phone/sms number or just some useful text. On your Android Wear watch the app appears as Barcodes so you can just say "OK Google, Start Barcodes" to bring up your list. 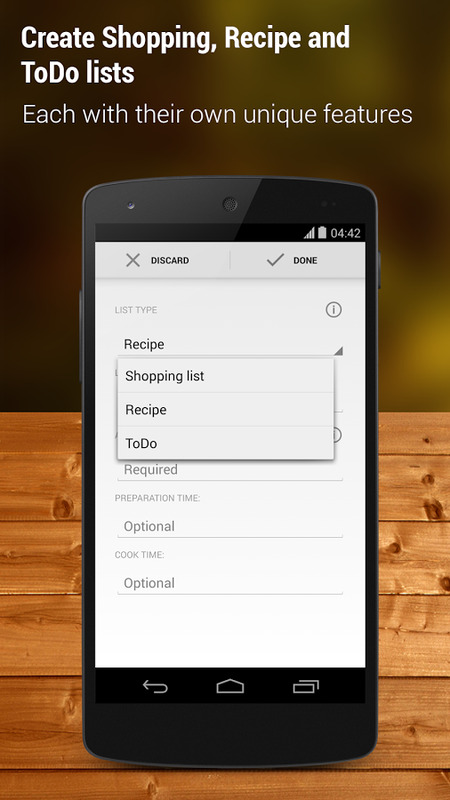 Manage the list of codes on the mobile app and have them appear in a list for easy access on your watch. 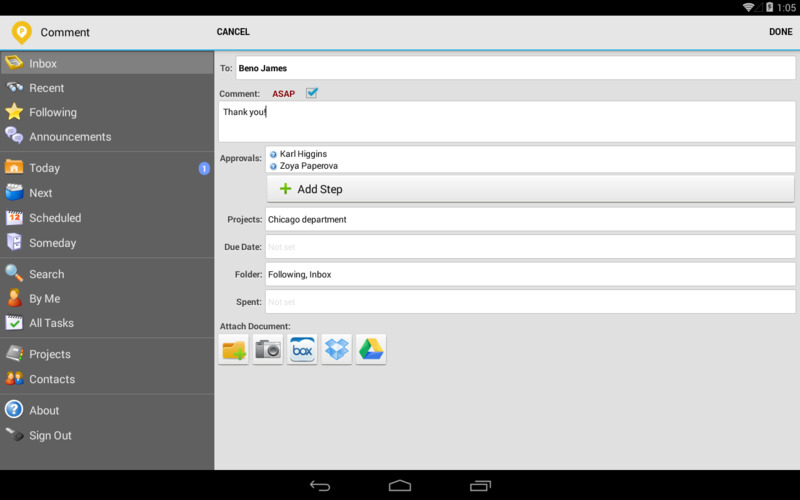 Add web site addresses and other data straight from your browser and other apps via their Share menu. 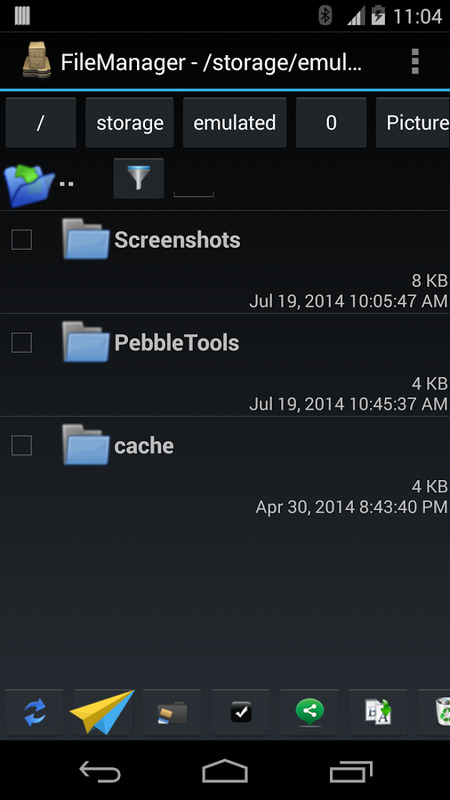 Android Police coverage: [ಠ_ಠ] There Is Now A File Manager For Android Wear – Next Stop, Photoshop? 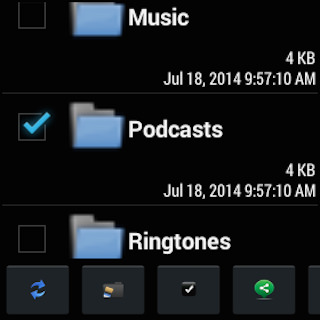 Yes, there is a file manager for Android Wear against all reason. It's not very usable, and it costs money, but it exists and you can use it for... things? I'm not really sure what you'd use it for. Maybe it'll have modding uses later. The first File Manager for you Android Wear Watch, you can use it to find files on your watch, send or receive files from your phone to your Watch, and view photo or text file on the watch. This App also have the full feature Phone File Manager included. 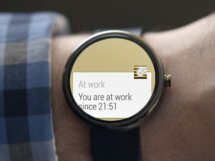 Android Police coverage: [New App] Developer Of AIDE Releases Wear Browser For Android Wear, Because Why Not? This is another app with questionable usefulness on Wear, but it exists nonetheless. 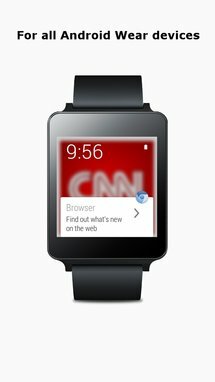 Wear Internet Browser loads web pages on the watch using data piped in over the Bluetooth connection. 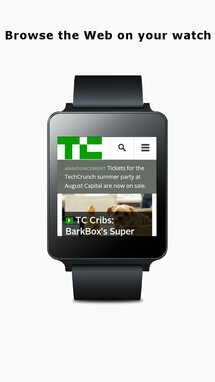 There's no browser functionality built into Wear, so the devs implemented Chromium. The internet, less than an arm's length away. WIB, the Wear Internet Browser, is a full fledged web browser running on your Android Wear smartwatch. 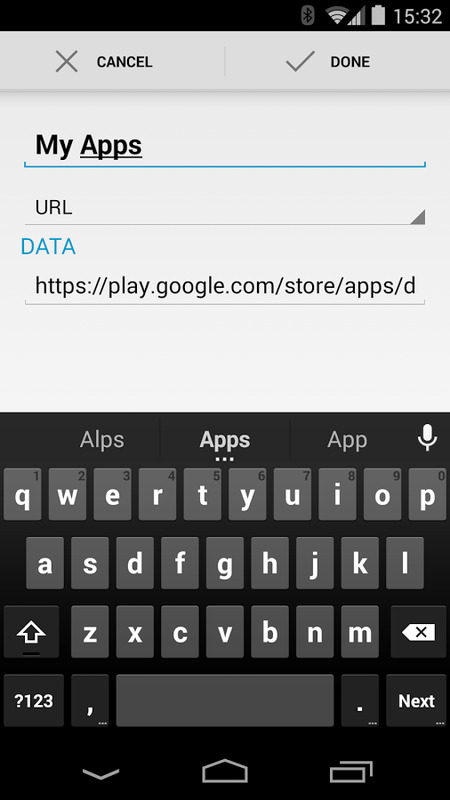 Favorites are automatically imported from Chrome running on your phone. 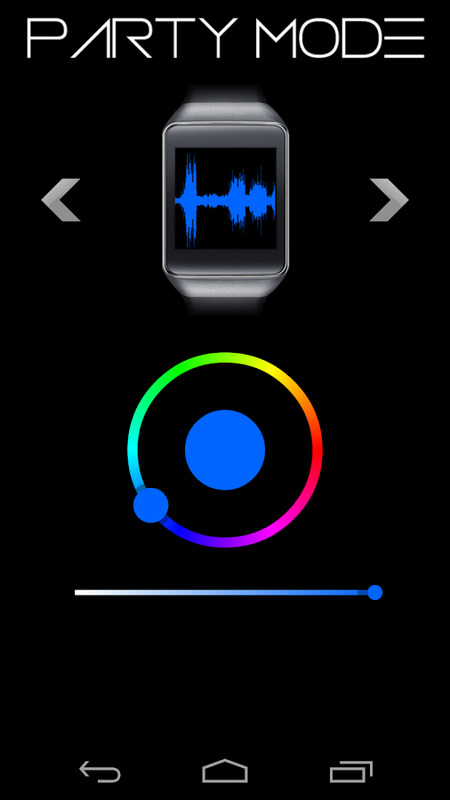 It's not the only app with this functionality, but Wear Audio Recorder might be the best option for recording audio from your watch. 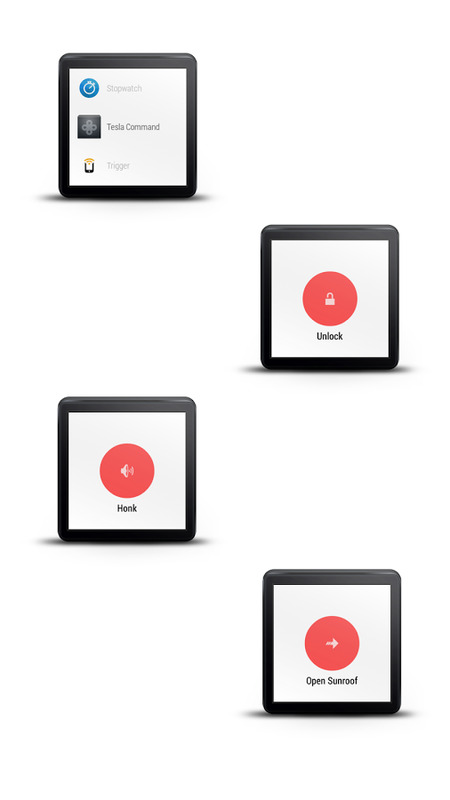 The interface consists of big swipable panels with buttons to record, pause, and stop. 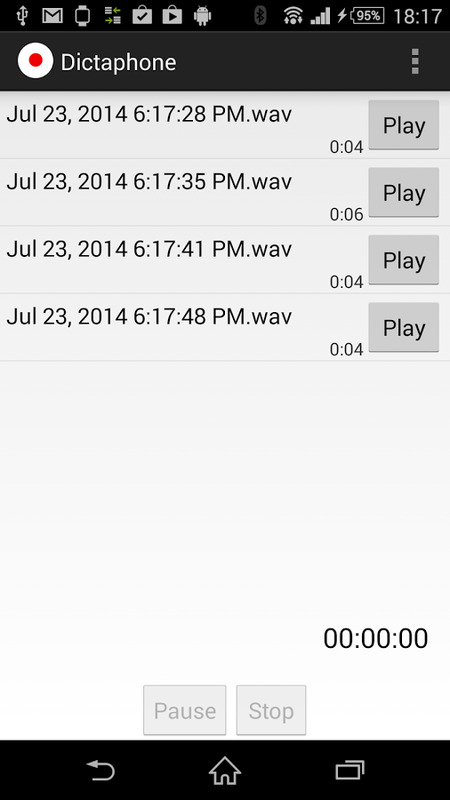 Recordings are synced instantly over Bluetooth to your phone for playback. 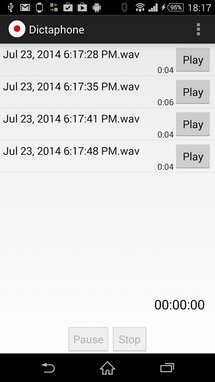 You can easily make high quality voice notes with this recorder. Dictaphone is designed for quick and easy recording directly from watch (Android Wear). 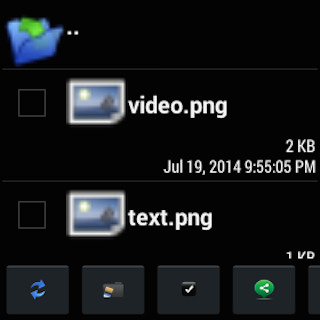 * Easy playback and deletion. 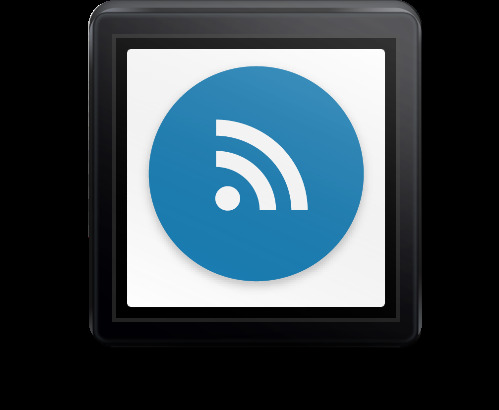 Android's WiFi hotspot feature is somewhat buried on most devices, but there are widgets to make it easier. Wear Hotspot does the same thing, but you don't even have to touch the phone. It's great if you've got the phone charging across the room but need some internets right away. 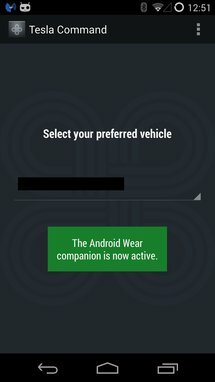 The Wear Hotspot companion app on your mobile device must be started once before you try and use the hotspot trigger from your Android Wear device.! The most accurate way to open the app is, "Ok Google, Open Wear Hotspot." 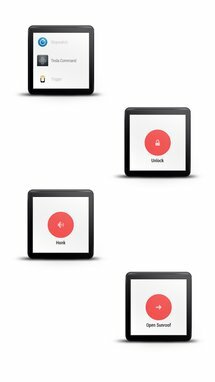 With Wear Hotspot’s simplistic button-like design, you can change your phone’s hotspot status on and off without having to pull out your phone. #BOOM. To use, simply download and open the Wear Hotspot application on your Android Wear device and select the blue WiFi Button. Annnnnddddddddd Done. How convenient is that? 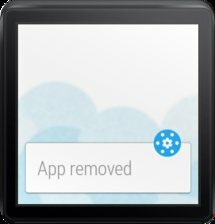 If the "Open Wear Hotspot" command is not working well, open the app on your Android Wear device and try again. 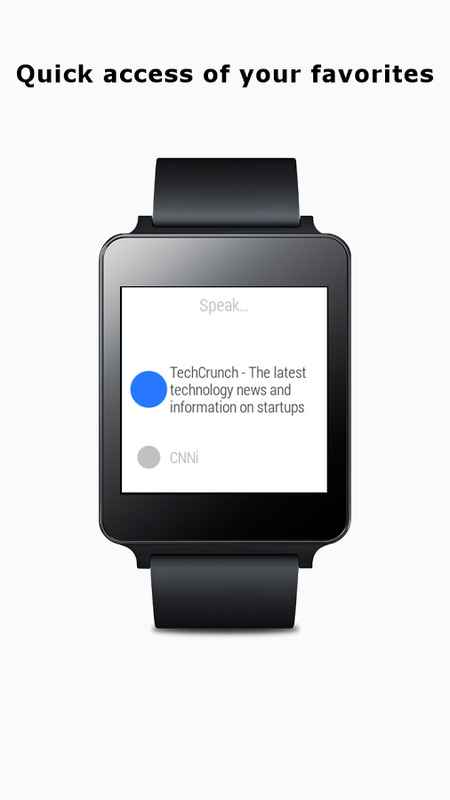 The voice activation on Android Wear devices use's Google's voice engine. It -should- learn what you're looking for in time but you can assist this by searching for "Wear Hotspot" using Google Now or Google Search and manually activating Wear Hotspot on your device. 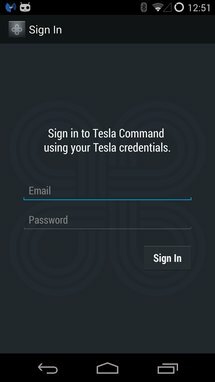 If anyone from Tesla is listening, I've been meaning to review this app for, um... reasons. I just need a Tesla Model S for testing purposes. 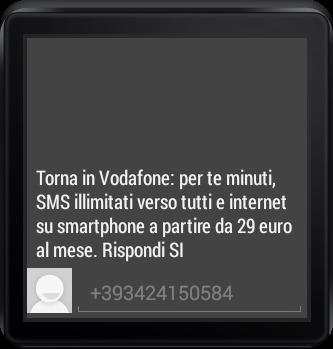 See, I'm interested in how it can be used to unlock the doors and whatnot from my watch. Let me know, okay? 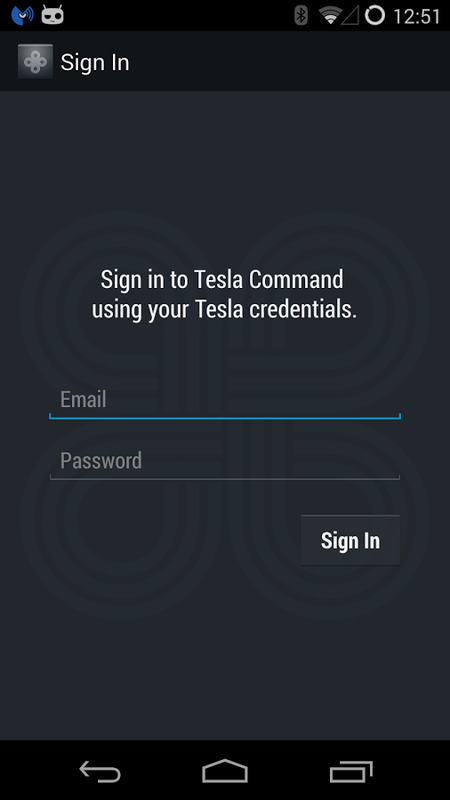 Android Wear meets the ultimate in driving innovation with Tesla Command. 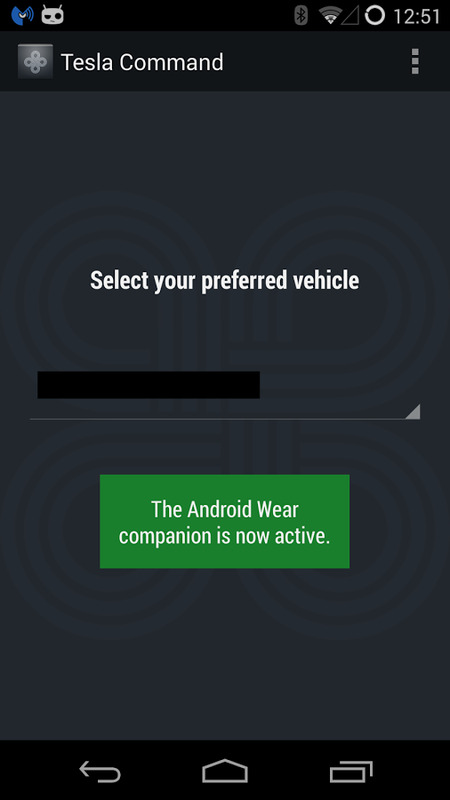 Take control of your Tesla Model S driving experience with Android Wear. 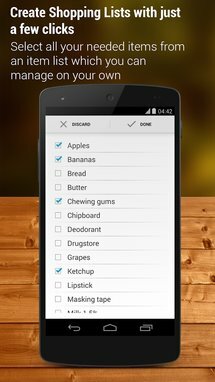 This app has become absolutely essential for me in a very short time. 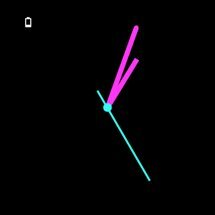 Installing apps on Wear through the phone is a nebulous process. 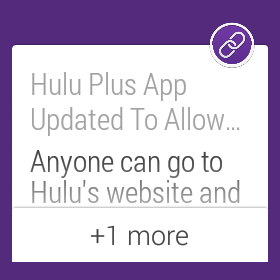 The only way to know if they've been pushed over correctly is to check the app list. 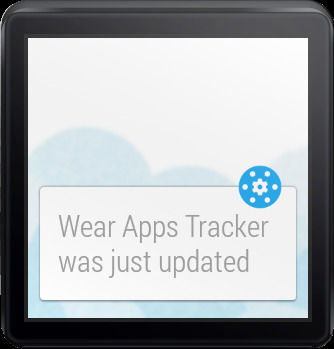 Wear Apps Tracker gives you a card notification each time an app has been installed, updated, or removed. It's really handy. 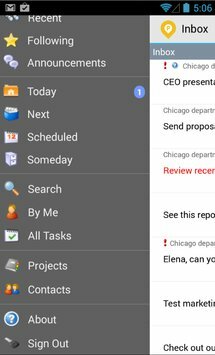 When you install an app on your phone it's easy to understand what's happening: you've got notifications and confirmation screens. 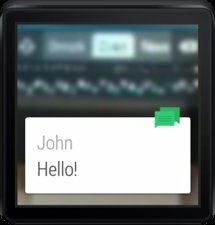 The same is not true for your Android Wear device: after installing the app on the phone you just have to wait for the magic to happen, opening and closing the Start... menu until the epiphany occurs bringing the new icon on the list. Not anymore. With Wear Apps Tracker you'll get a notification on your Android Wear device stream every time you install, remove or update an app for your smartwatch. The G Watch and Gear Live don't have light sensors, which means you have to manually change the brightness throughout the day like it's the damn middle ages or something. 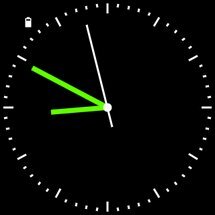 Display Brightness for Wear takes over for you by automating the brightness based on sunrise and sunset times, and whether or not you're driving. 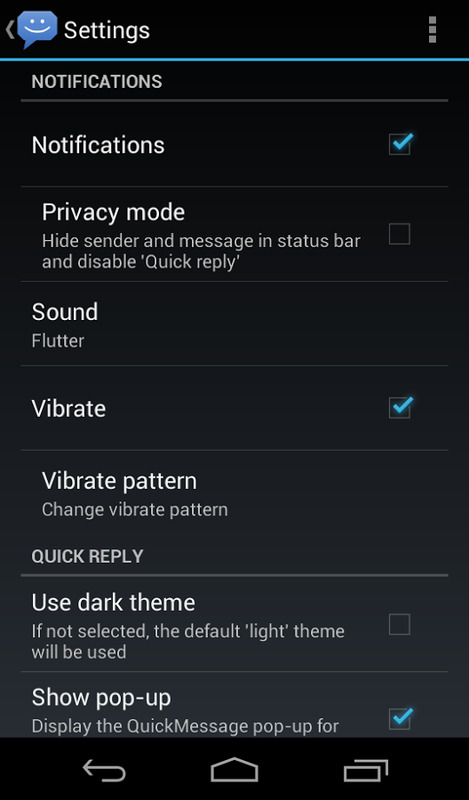 There are no settings, though, so hopefully you're down with the defaults. 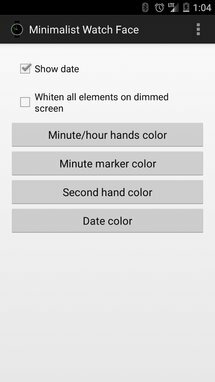 Very simple application that uses the coarse location as well as the Google Play Services activity detection API to automatically set the display brightness on your Android Wear. 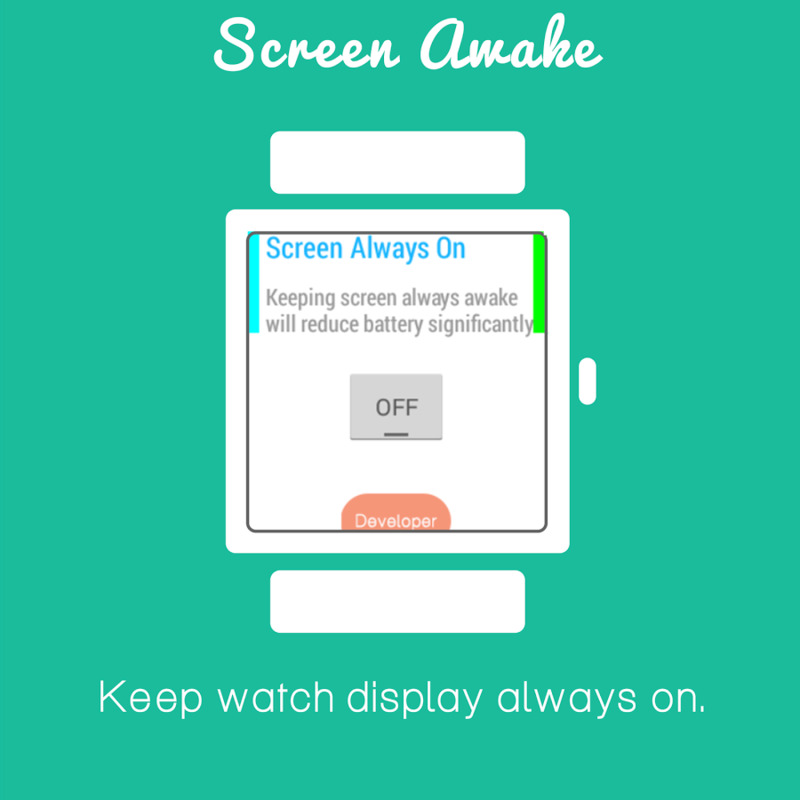 This is only necessary for watches that don't have an ambient light sensor. 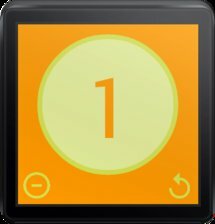 Sunrise and sunset times are calculated based on your location. 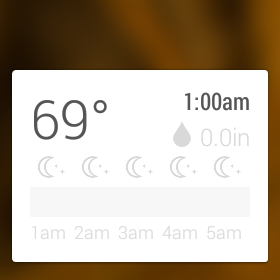 If it's night time, the brightness will always be set to the lowest. 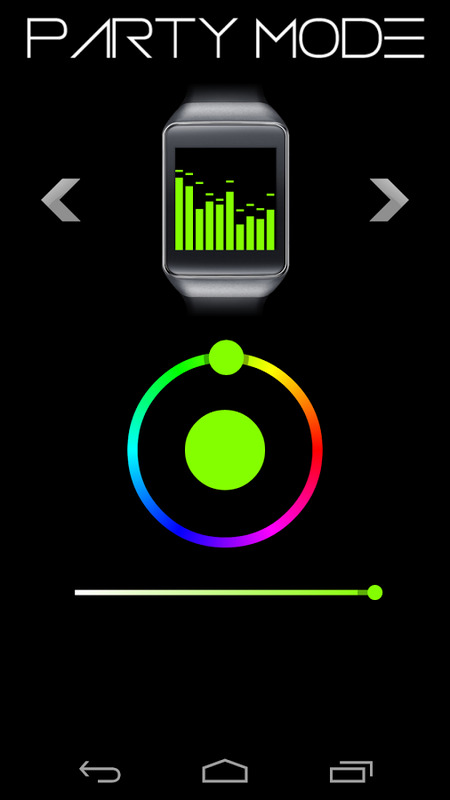 If it's day time, it will determine the brightness, between medium and high, based on the current user activity. 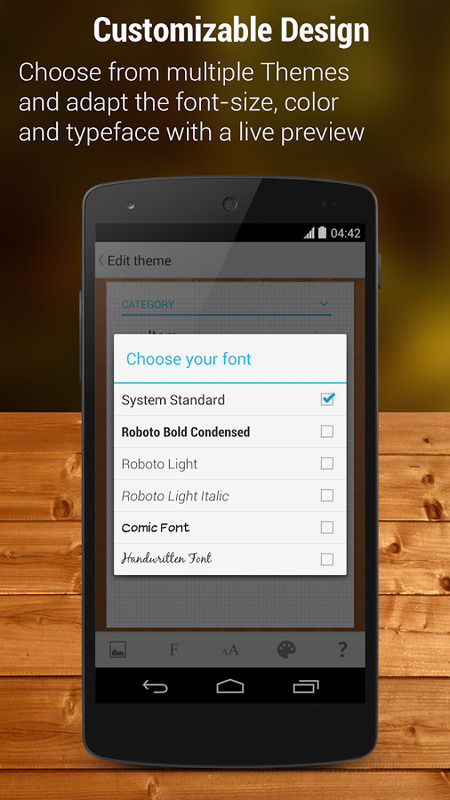 For example, if the user is driving the brightness will always be set to the highest. 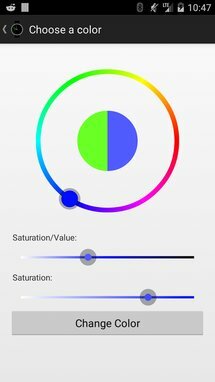 If the user is still, then the brightness will be set to medium. 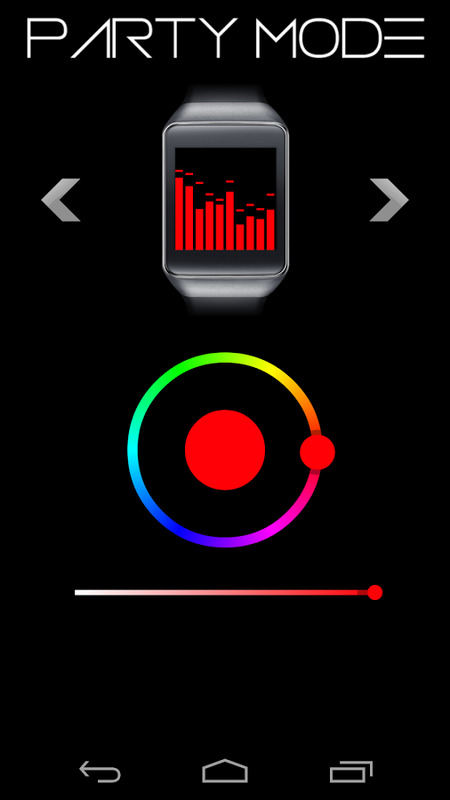 By using the activity detection, we are making assumptions to determine whether the user is indoors, or outdoors, and then setting the display brightness on the watch based on that. 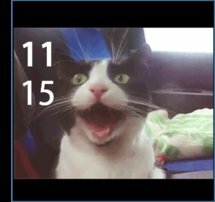 For battery saving purposes, there may be a delay between each detection. Google demoed a feature at I/O that lets you keep your phone unlocked when it's connected to your watch, but that's not out yet. In the meantime, there's WearLock. It allows a simple slide unlock when the watch is connected, and a password when the watch is disconnected. It costs a few bucks, but it's neat. 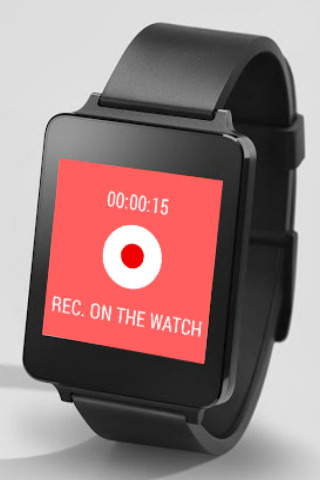 WearLock is the first app for Android Wear that unlocks your phone by just wearing you watch. 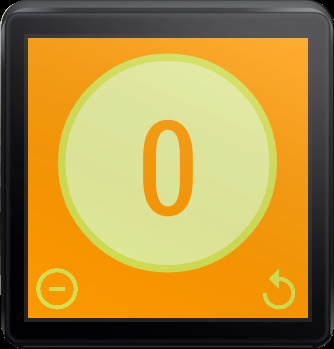 It uses various motion sensors to decide when you are wearing your watch, and when your not. 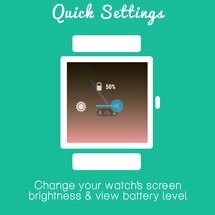 No more having your watch charging on your desk leaving your phone open to exploitation or peeking eyes. 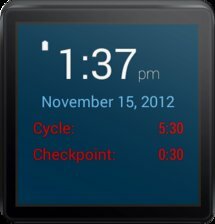 If your watch runs out of battery or travels out of range of bluetooth your phone will automatically lock as well. 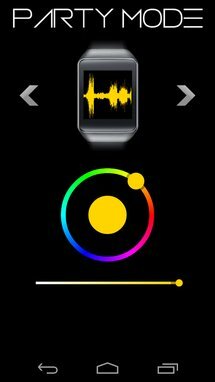 It is important to open the app on the watch at least once or it will not work. 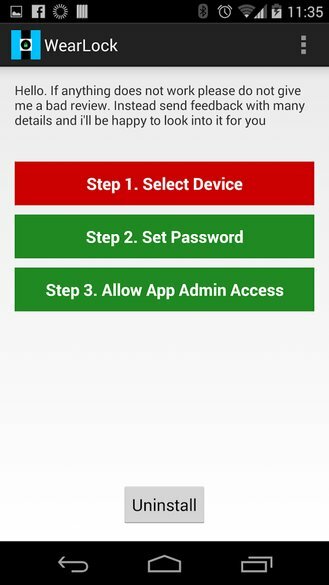 Lock with a pin or a full text password. (Pattern and other lock styles are not enabled as they require root). This is the first release so please send feedback through email [email protected] and do not leave a bad review if everything does not work properly. Please uninstall using the "Uninstall" button on the phone app. We had quite a long and tedious discussion about this app among the AP staff. Several of us thought it was weird and not very useful, but others *cough*Artem*cough* thought it was really cool. We compromised on just adding Wear Party Mode to the roundup. This app puts a live audio visualizer on the watch face that uses the microphone to sample ambient noise. 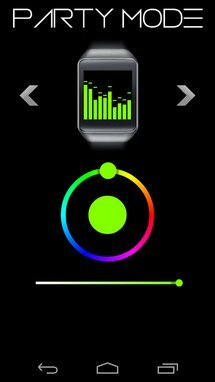 Wear Party Mode gives you unique style in the club. 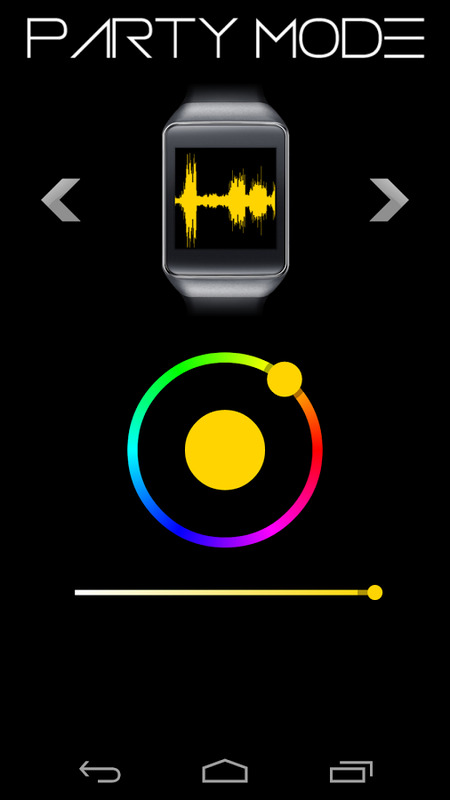 Application analyzes realtime ambient sounds and visualizes them on your wrist. 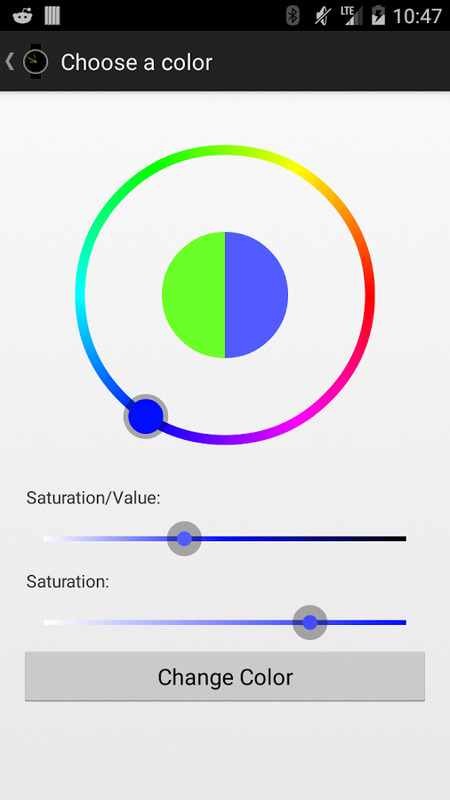 You can choose from diferrent visualizer styles and customize color. 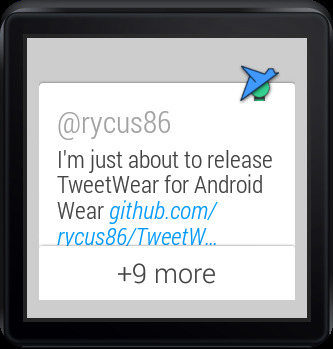 It's Twitter for your watch. 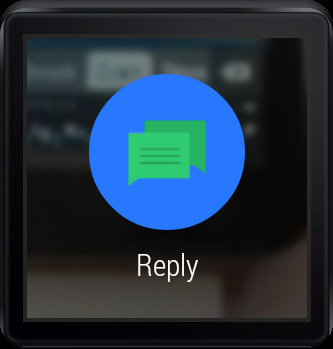 The timeline shows up on the phone and expandable notifications appear on the watch. 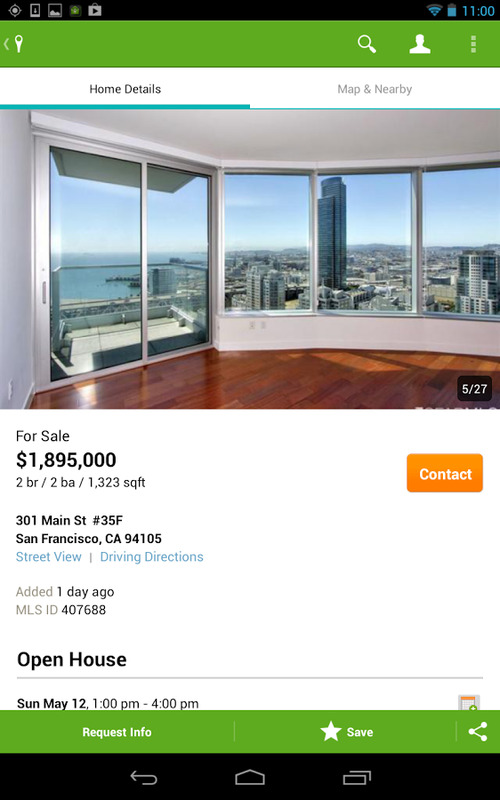 Not a full-featured client, but an interesting thing nonetheless. See your Twitter timeline on your Android Wear watch. 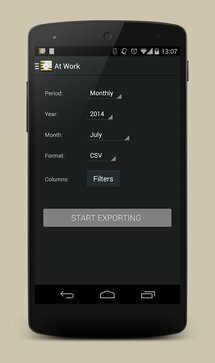 Currently the application supports the timeline only. Notifications appear only on the watch. 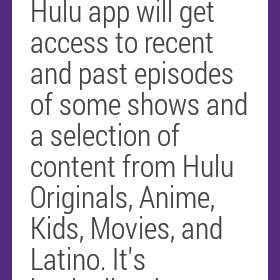 Expect more features to come. Bug reports and suggestions are welcome. Well, there are people who want a keyboard on Wear, and this is the kind of thing they will use it for. 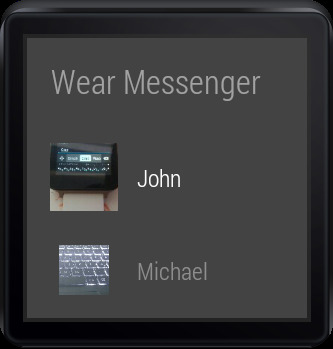 Wear Messenger syncs SMS conversations to your watch so you can reply to them at any time. 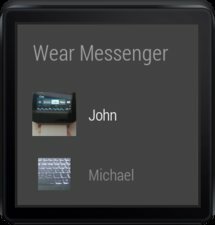 Wear usually only shows messages when they come in as notifications, but this gives you access to everything. 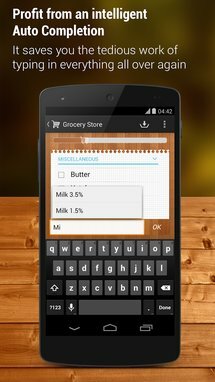 You don't need to use a keyboard for this, but it makes it a bit easier to use the app. This app is designed to let you see and reply to your SMS conversations stored on your phone. Conversations are synced when needed and are stored on your watch, too. 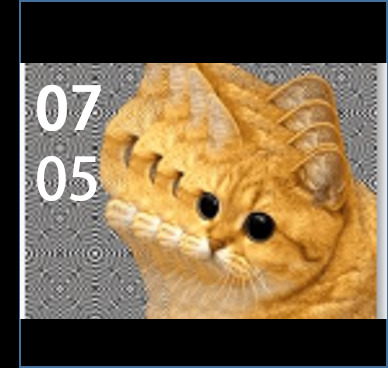 WARNING: THIS IS A BETA. 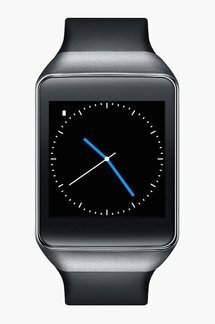 ONLY WEAR DEVICES ARE SUPPORTED. 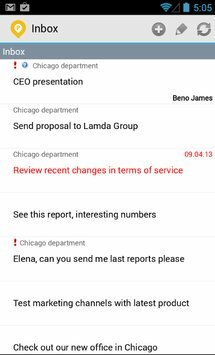 An input method is recommended but not needed: Press a message (into the conversation list) to launch voice recognition, longpress to send your reply. Works on both sent and received messages. Custom notifications with photos and a quick reply button are available; you can enable them from the app on the phone. 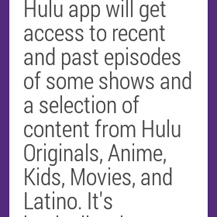 This app does NOT include a keyboard. 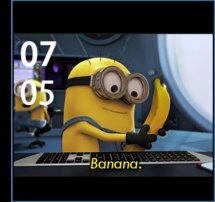 The keyboard shown in the third image is called "Minuum Keyboard", search on the web how to get and install it on your watch. 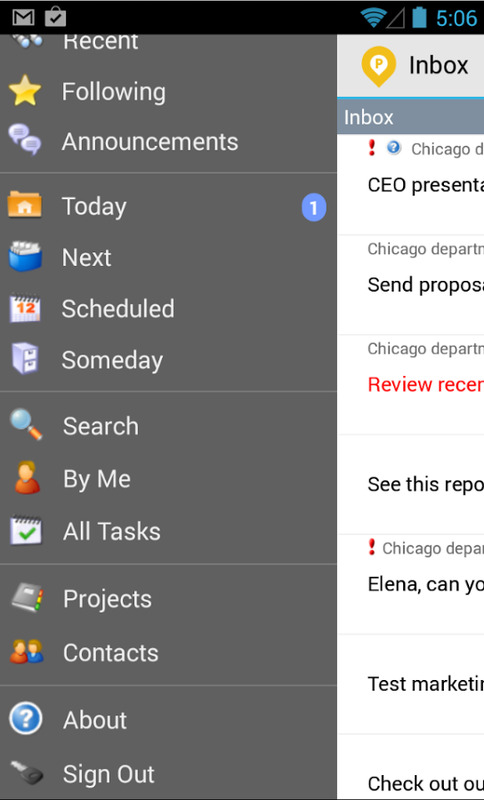 Workflow management is kind of boring, right? Yeah, but it might make your work life less stressful if done properly. 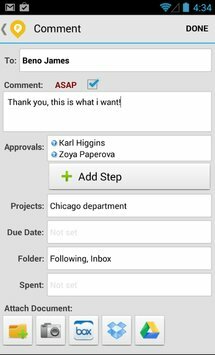 Pyrus is an app that can be used to assign, delegate, and track projects—and now it has Wear support. 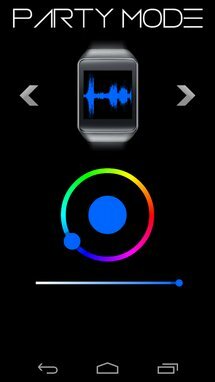 You can read comments, approve requests, and respond by voice from the watch. 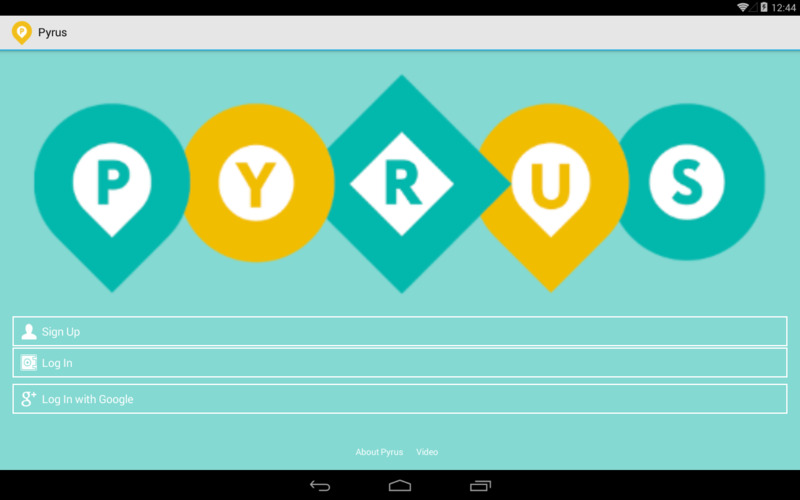 Pyrus helps you coordinate your team. 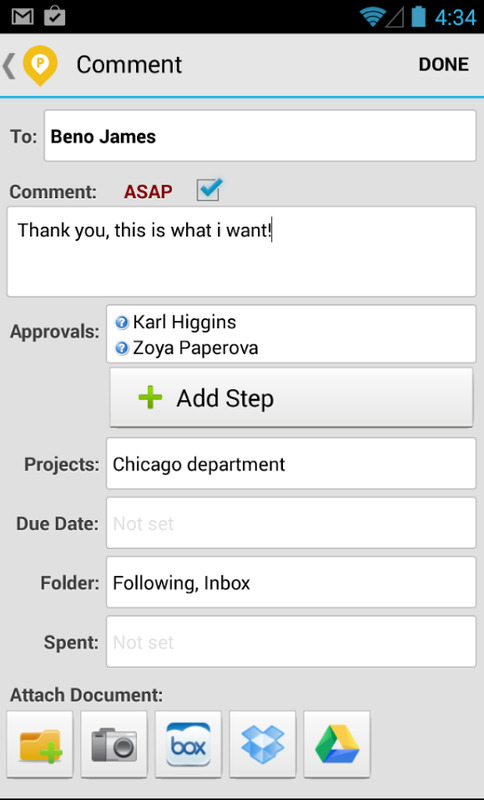 You can assign tasks, monitor their progress, and control workflow. Pyrus works offline and seamlessly syncs in background. No frozen UI, no duplicates. I'll have to leave this one up to our European readers because, as an American, I see trains as things that haul industrial equipment and coal. I'm told that riding trains is quite common in other places, though. How novel! Capitaine Train lets you book train tickets and manage your trips. 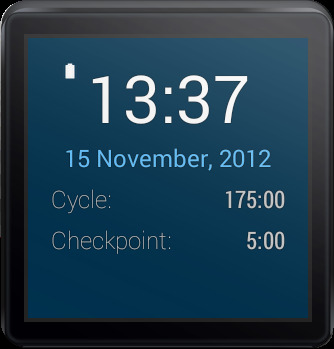 Now it can show you your itinerary and boarding pass on the watch. Capitaine Train is the best train ticket booking engine in France and nearby countries. Since 2011, more than 300,000 users have trusted and used us to buy their train tickets in France (SNCF, iDTGV, OUIGO, iDBUS), UK (Eurostar), Switzerland (Lyria), Belgium and Netherlands (Thalys). 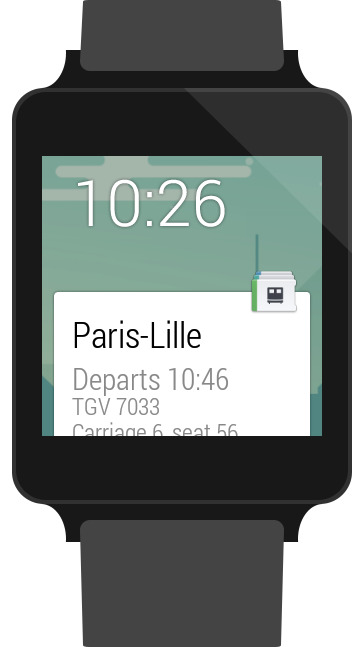 • Search for train routes in France and nearby countries: TGV, Eurostar, Thalys, Lyria, etc. 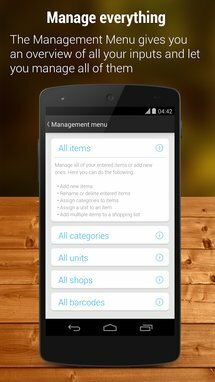 • Find the best prices amongst the most comprehensive offers: Prem’s, Loisir, iDTGV, etc. • Take advantage of your discount and loyalty cards: Eurostar Frequent Traveller, Thalys TheCard, etc. 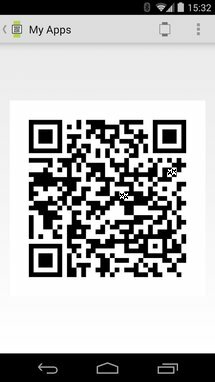 • Exchange or cancel your tickets within the app. 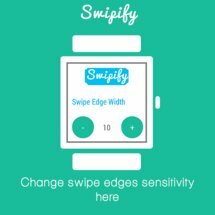 • Register your loyalty and discount cards along with your personal information. • Save time by creating a profile for each member of your family. • Select your favourite destinations instantly. • Review your upcoming or previous journeys. 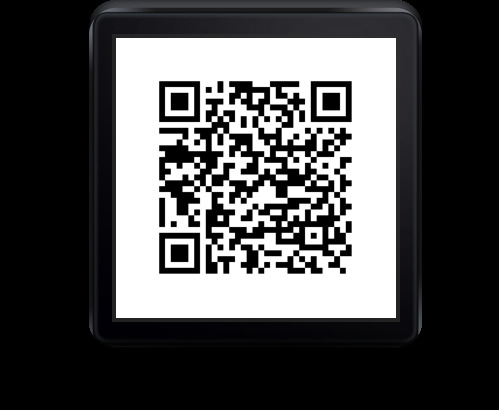 • Receive your e-tickets in PDF format or store them on your loyalty card. • Receive a notification 20 minutes before departure. Do you really know how much you're working? For a lot of folks, it's probably more than expected. At Work makes it easy to track work hours, and now it works on Android Wear. With "At Work" you can manage your working hours so simple and straightforward. 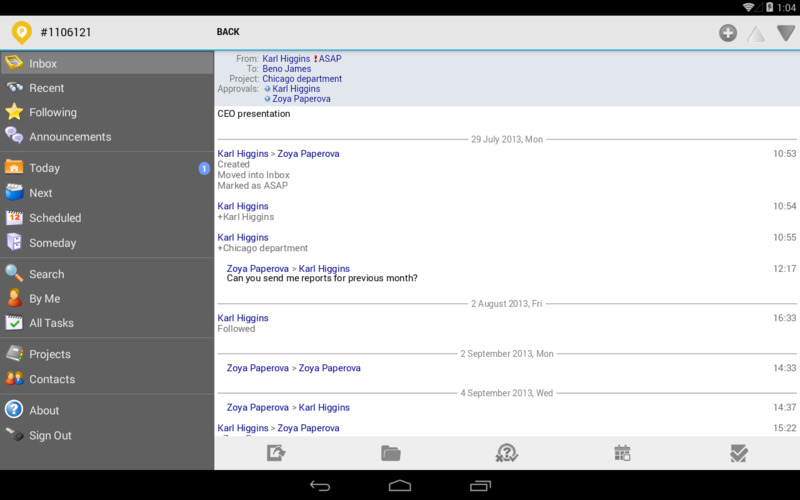 At Work is a simple and appealing application that is designed to simplify your working life. 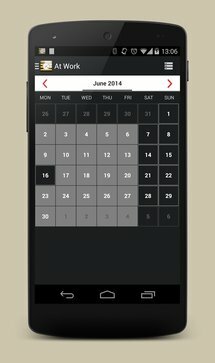 Just one click to record your entry or exit from your work, thus helping you to keep track of the hours you engage in day-to-day. You can easily figure out how many hours you worked during a day, a week or a month. 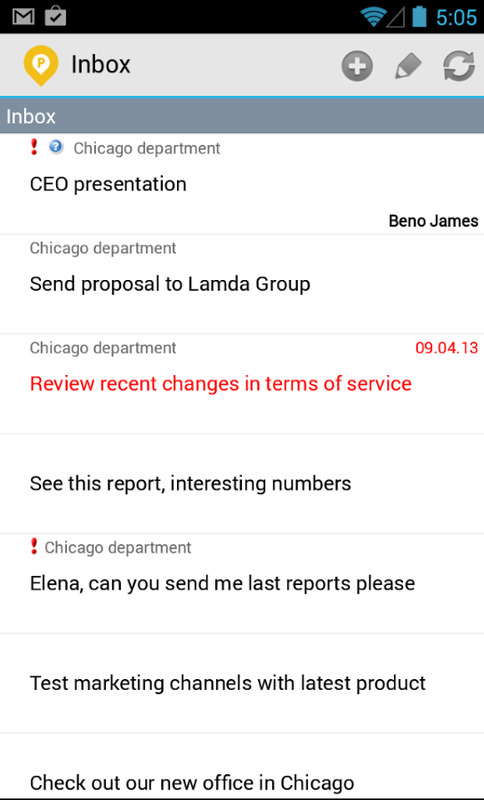 Reports can be customized, letting you know exactly all the details of your working life. Some settings can be set via the standard working hours every day, so you can accurately calculate overtime, whatever your working hours. 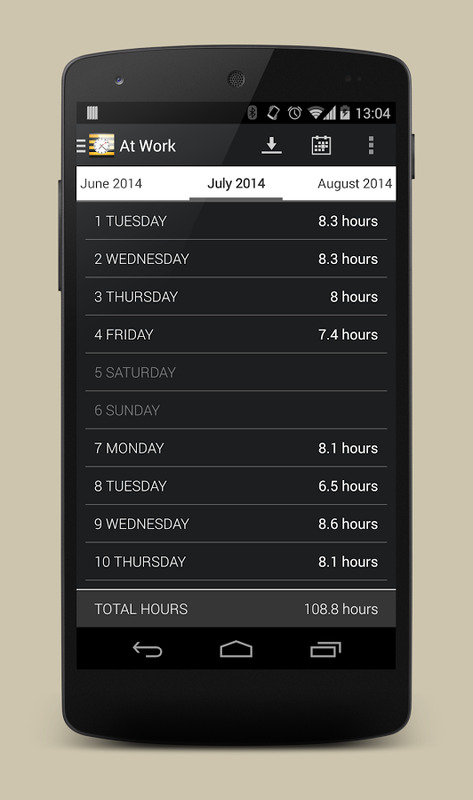 Other useful settings allow you to decide whether or not to calculate overtime and if round schedules. 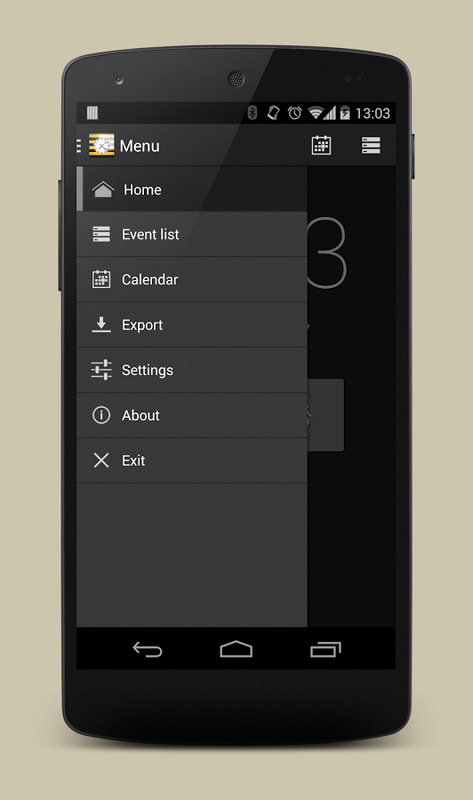 The application also allows you to enter notes, record special events or events of interest. 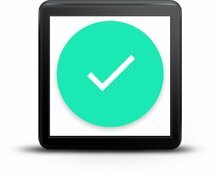 A notification system (can be disabled) alerts you when you have finished your standard hours per day and reminds you when you are at work. 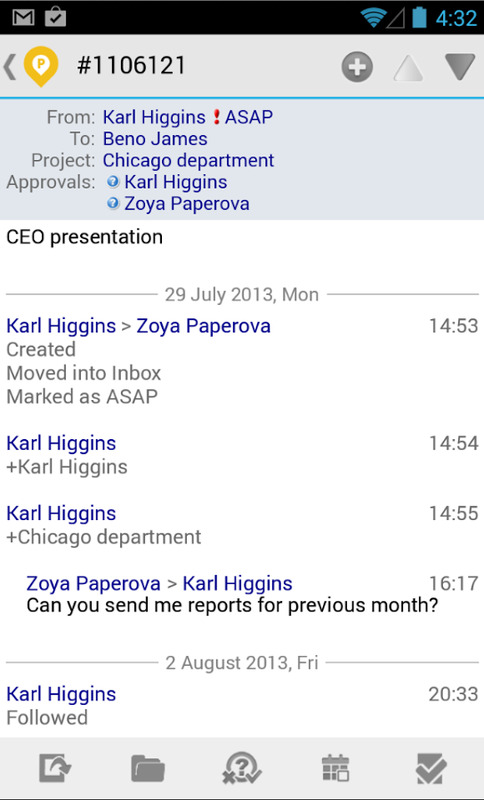 8sms is a tweaked version of the stock messaging app, since supplanted by Hangouts in the Google ecosystem. The app has added support for Wear in the latest update so you can see stackable notifications on the watch and respond to them individually by voice. 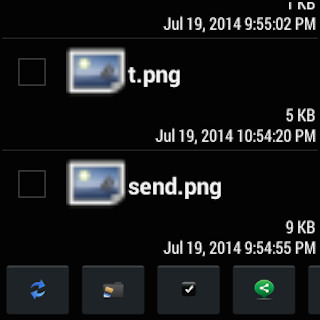 8sms is a port of the Android stock messaging (sms and mms) app with a few extra useful features then added on. 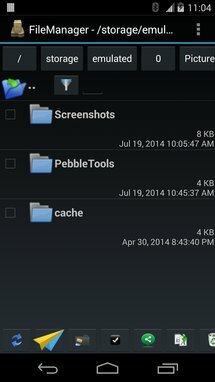 The current version is ported from Android 4.4.2 and CyanogenMod 10.2 M1. 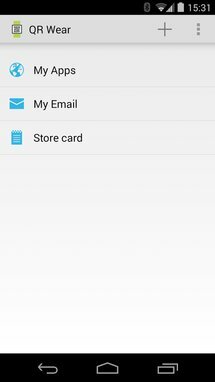 Install this app if you want to use features from the latest Android messaging app without having to wait for a full phone software update. 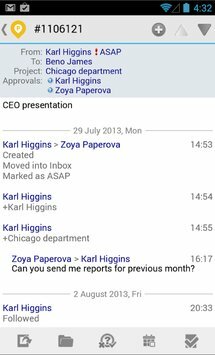 Link Bubble is cool—it loads pages in the background and keeps them in little chat head-like bubbles. 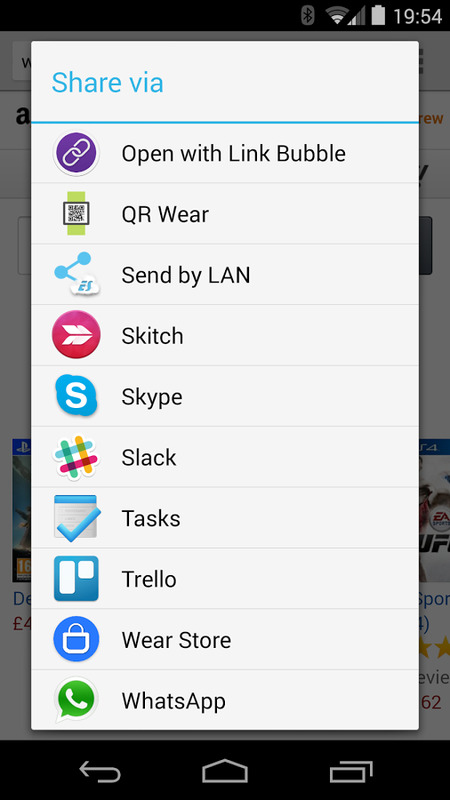 It's great for checking through a bunch of links while you're doing other stuff, and now it has Wear support. This isn't like the full browser up above, though. Link Bubble shows a card on the watch for each of the bubbles you have open, allowing you to read the text only version right there. It works well if you load up some links then have to put your phone away because you can scan the links and close unneeded ones from the watch. Link Bubble is an all-new browser designed and crafted solely with mobile devices in mind. 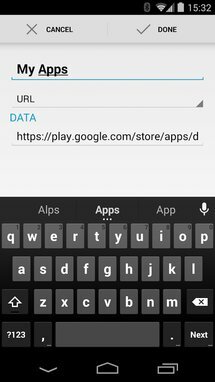 • Link Bubble's flick physics allow you to go from clicking a link to sharing a link or adding it to a service such as Pocket in little more than a second. • Load multiple links from your current app at the same time (requires Pro). 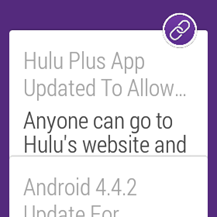 • Gracefully handles links that redirect to other apps. No longer does clicking an Instagram link in Twitter redirect to a full screen browser before loading Instagram. • Handy stats that illustrate how much time you are saving by using Link Bubble. 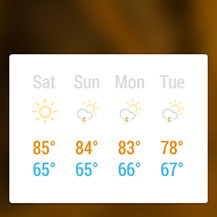 The new Android Wear support for Bright Weather is a lot like 1Weather added recently. 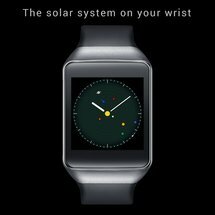 When you have the weather notification on your phone, it's mirrored over to the watch with swipable cards that show the current conditions, hourly forecast, and extended daily forecast. 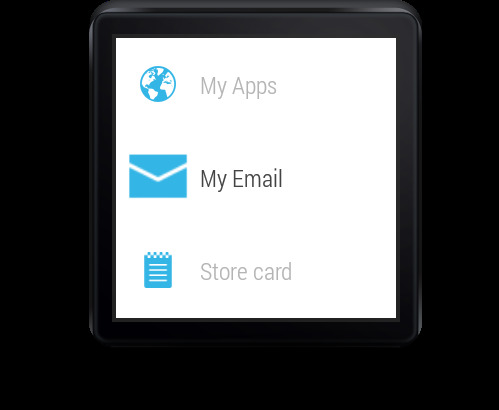 It looks good and offers more data than the standard Google Now card. It just depends on whether or not you like to keep your notification shade clean. 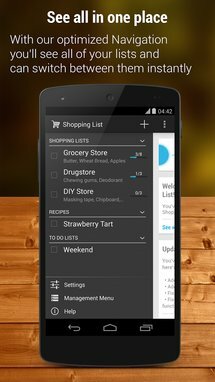 Bright Weather is the most comprehensive weather app available on Android. It makes the daily weather essentials easily available and a simple access to deeper information while presenting it in a tasteful, lightweight experience that makes checking the weather enjoyable. 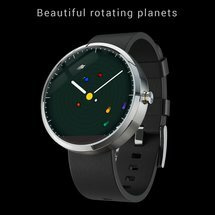 The beautiful design mixes stunning photography with minimalistic graphics as it tries to balance information, functionnality, simplicity and attractivity for your personal weather interests. Sure you can just look outside to get an idea of whether it is cold, rainy or windy. But can you be sure not to get heavy rain later without checking the comprehensive weather forecast included in Bright Weather? Smart notifications allows you to get notified for the weather before the weekend, or to create your own custom notifications like being alerted of a temperature change. 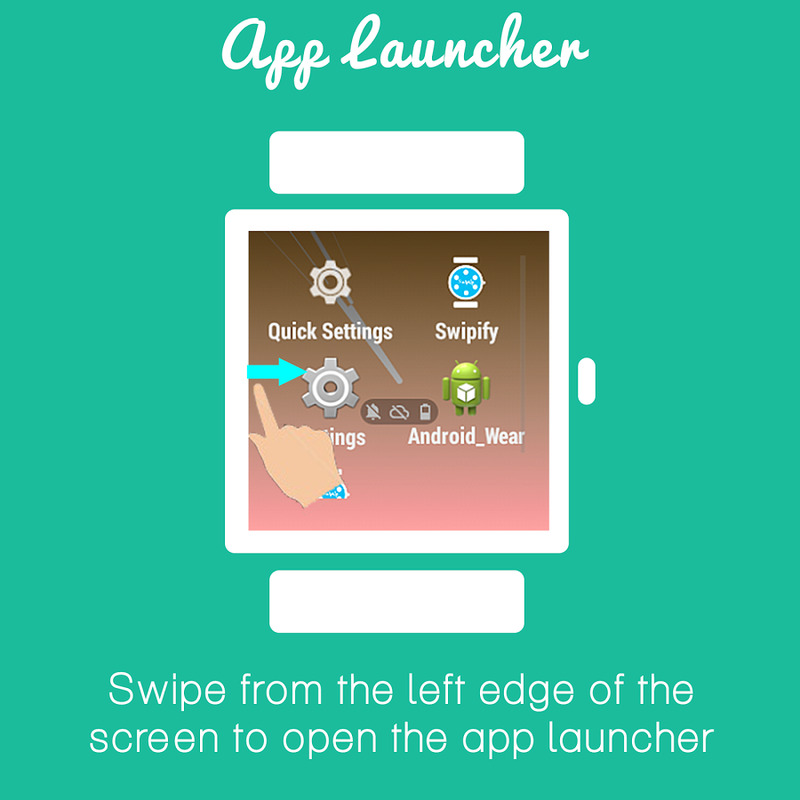 Apex Notifier is the notification manager for the popular Apex Launcher. 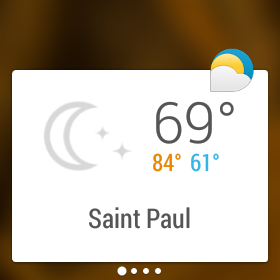 It can be used to add unread badges to icons and Dashclock widgets. 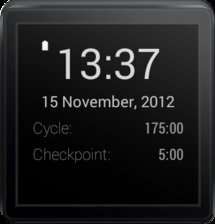 The new Wear functionality produces a battery card on the watch so you can see the charge status of the connected phone. 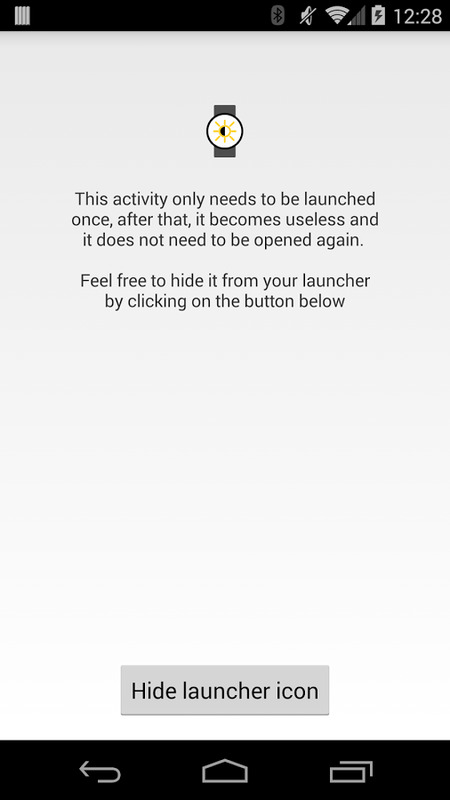 That's not the functionality I would have expected from Apex Notifier, but it could still be of use. 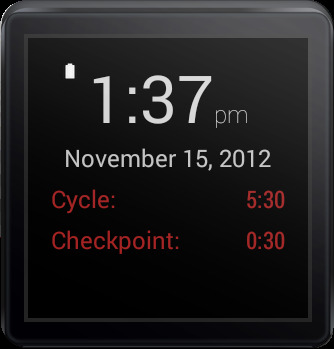 Apex Notifier is an extension application for Apex Launcher Pro (2.3+) and DashClock Widget (Android 4.2+). It provides notification data to those applications and does nothing on its own. NEW: Apex Notifier now supports Android Wear devices. 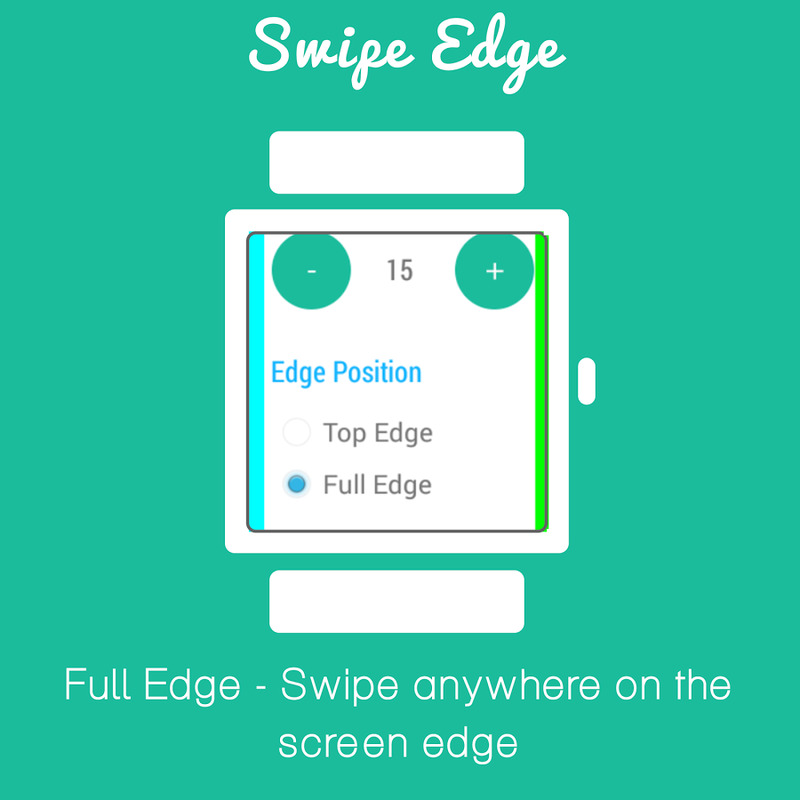 Check the battery level of your phone straight from your wrist. There's no need to take the phone out of your pocket just to see how much battery is remaining. 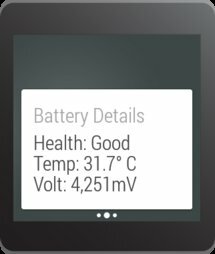 When an Android Wear watch is connected to your phone, a battery card appears on the watch that shows you the current battery level and charging status. To set up, just launch Apex Notifier on your phone and turn on Battery > Show on Android Wear. 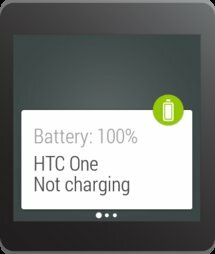 To customize the experience, you may control when the battery card shows up (e.g., when not charging or the battery drops below a certain threshold). You'll also find options to show additional battery information like health, temperature, and voltage. 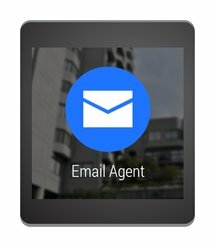 When used with Apex Launcher Pro, unread counts will show up in badges on application icons. 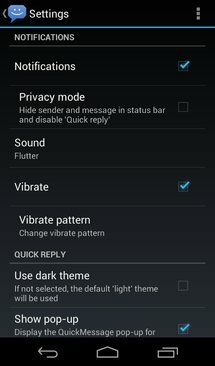 Please enable Apex Notifier in Apex Settings > Notification settings. 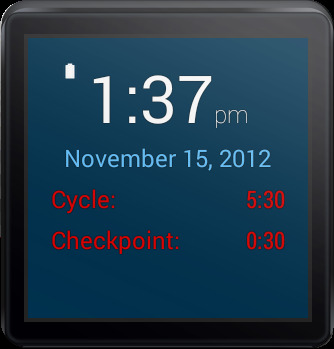 When used with DashClock Widget, Apex Notifier displays useful information from various sources. Please enable Apex Notifier in DashClock Extensions > Add Another Extension > Apex Notifier. 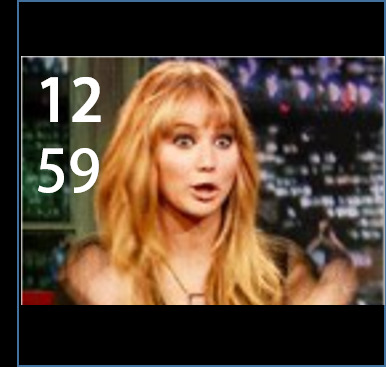 You may enable up to 5 extensions for DashClock. 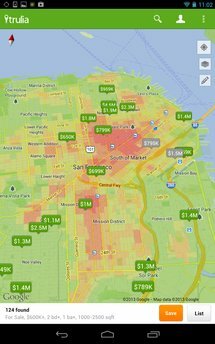 You can tell from all the links that Trulia comes up a lot. 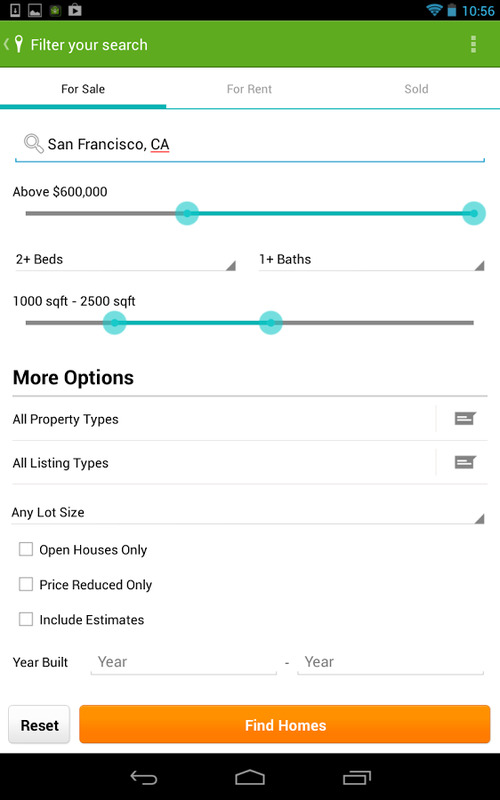 It's a real estate app that you can use to find a house or apartment, and now it has Wear support. 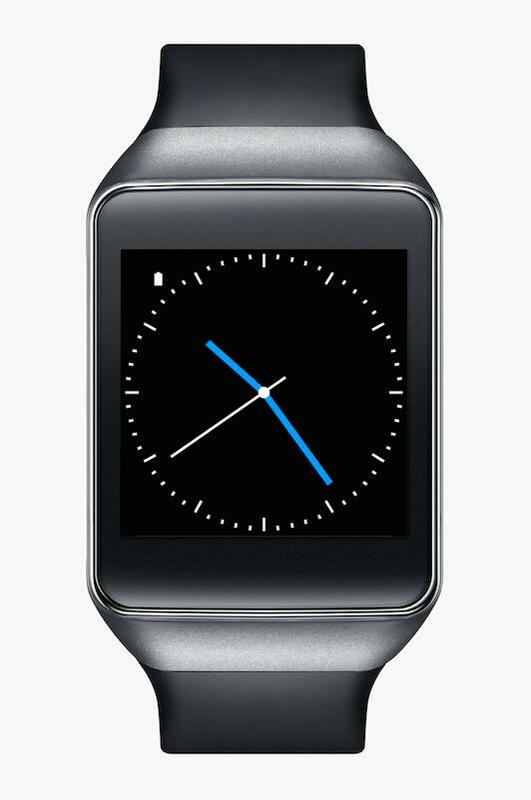 You'll get notifications when there's a new listing that matches your preferences on the watch. 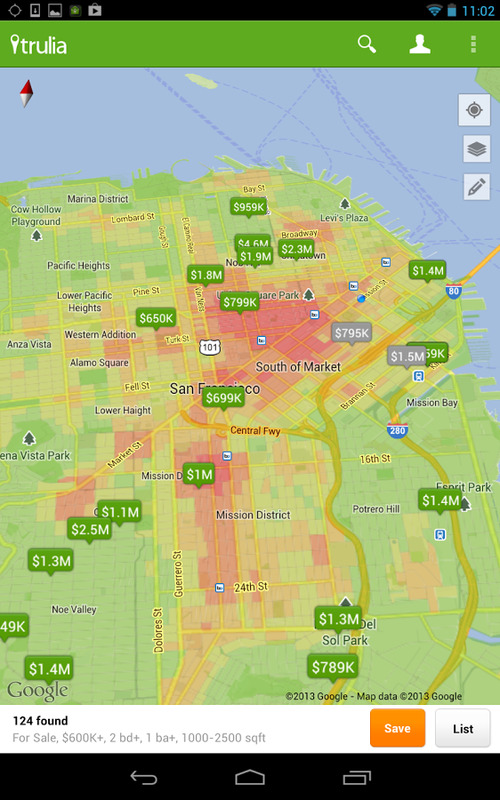 Neat, and just in time for the company to be bought out by Zillow. 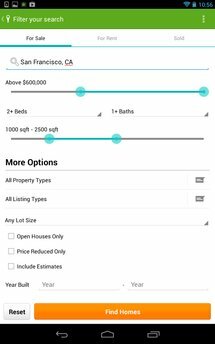 Real estate search and discovery has never been so easy. Trulia’s top-rated real estate app instantly shows you a map of nearby homes for sale, open houses or apartments for rent. 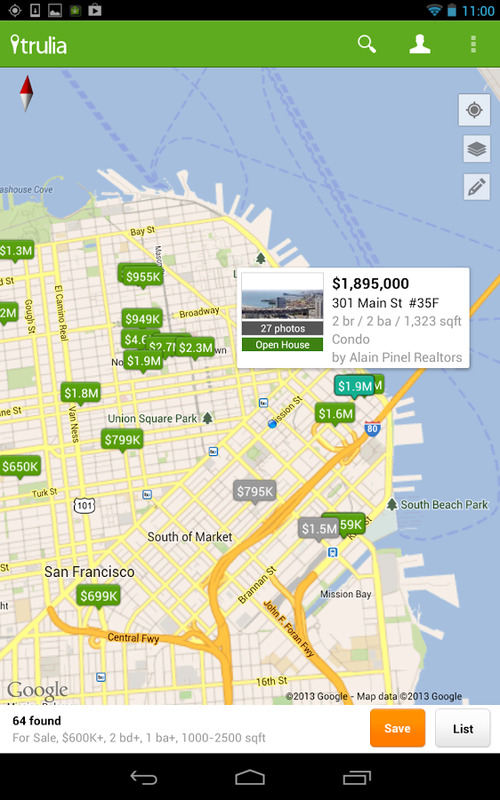 You can easily adjust search filters to find real estate listings that match your specific home and location criteria. 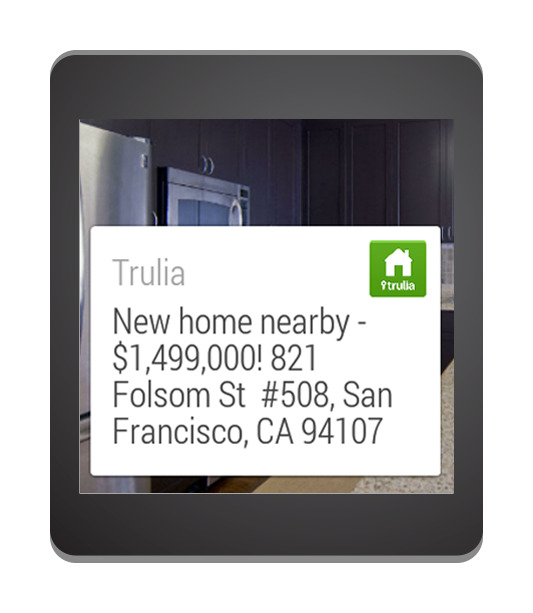 Stay on top of your home search – wherever you are – with the Trulia Real Estate & Rentals app. The free Trulia Android app provides home facts, detailed real estate listings and open house info for homes for sale or rent across the US. 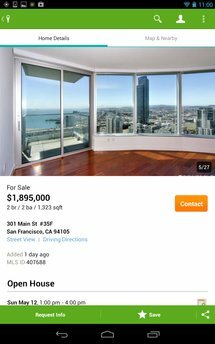 Get all the essentials and more: vivid photo slideshows of homes and rentals, real-time notifications on homes and properties you've saved, instant alerts when nearby homes hit the market and local neighborhood info. 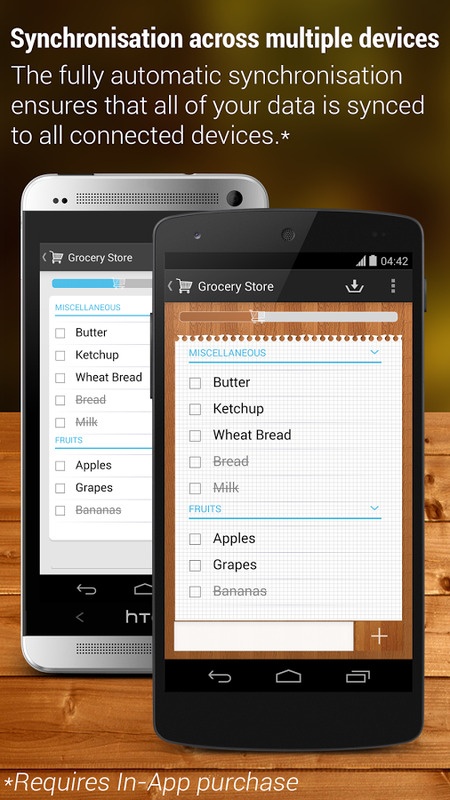 This is the first proper shopping list app I've seen with Wear integration, and it works pretty well. 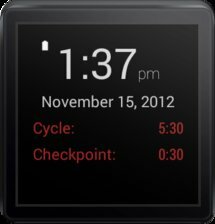 All you have to do is make a list and open the companion app on the watch. Your items are there as a series of cards that you swipe away when you're done. 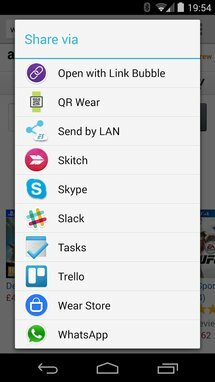 The app also has support for synced lists between devices, but that (and a few other features) are available as optional in-app purchases. • And way, way more. I will admit that I don't get Ingress—not even a little bit. I've tried to get into it because the concept sounds cool, but I don't see the appeal. That's fine, though. Plenty of other people like it. Okay, well some people... I mean, at least dozens of people. 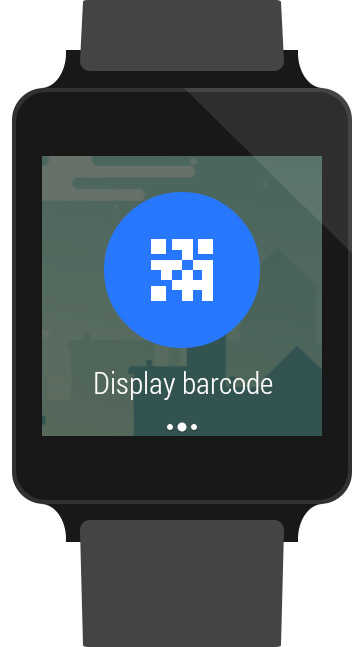 They'll all be happy to hear there's an Ingress watch face for Android Wear. 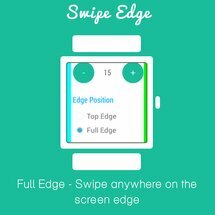 Unofficial Ingress watch face for Android Wear. Shows time to next checkpoint and the end of the current Shaper septicycle. 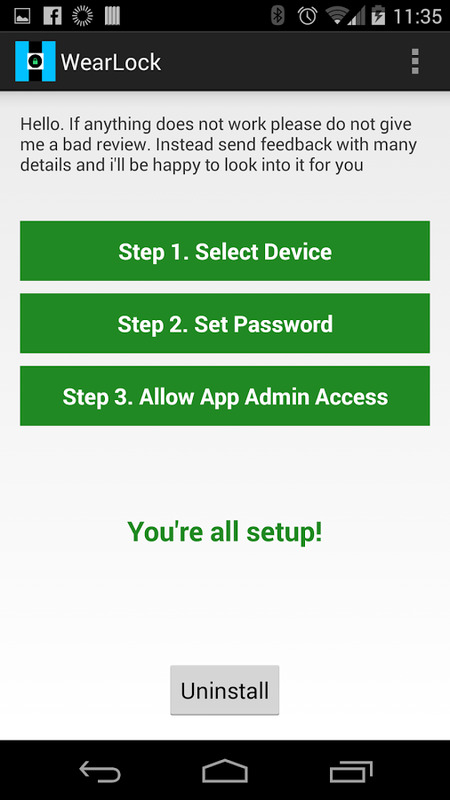 This application is not affiliated with or endorsed by Ingress, Niantic Labs, or Google. 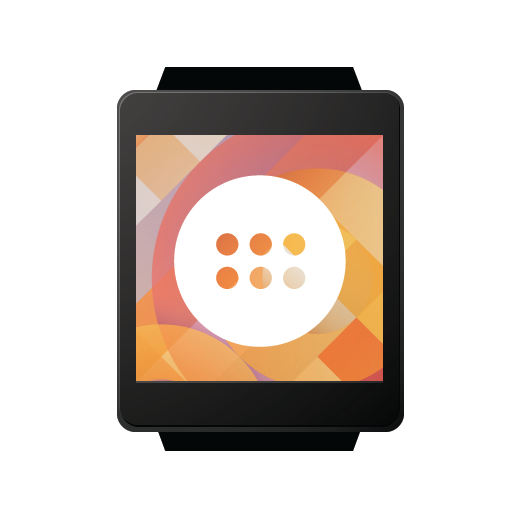 Note: This watchface is in beta until the full API is published by Google. 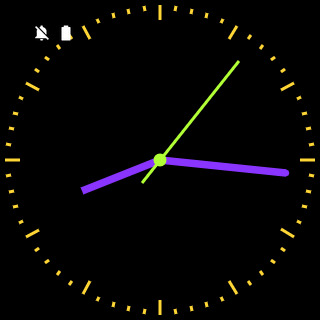 Because this is purely a watchface, you will not see anything on your phone launcher. 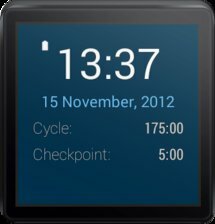 This is a very cool looking watch face that will probably be nice for Gear Live owners. 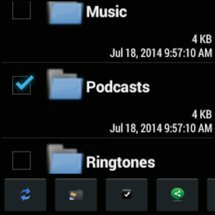 All the black space will use less power on the AMOLED screen. Of course, it won't work right until the final API is available, but such is life. 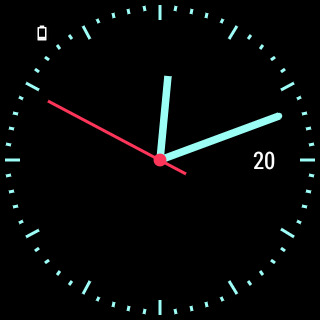 A simple watch face for the Android Wear. Choose the color of any of the watch's elements via the mobile app interface. 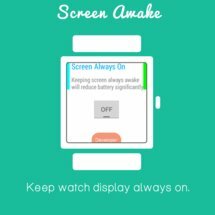 I've tested this on a Samsung Galaxy Live. If you see layout issues on other devices, please let me know. There are a few animated watch faces for Android Wear, including the new Aquarium Watchface. 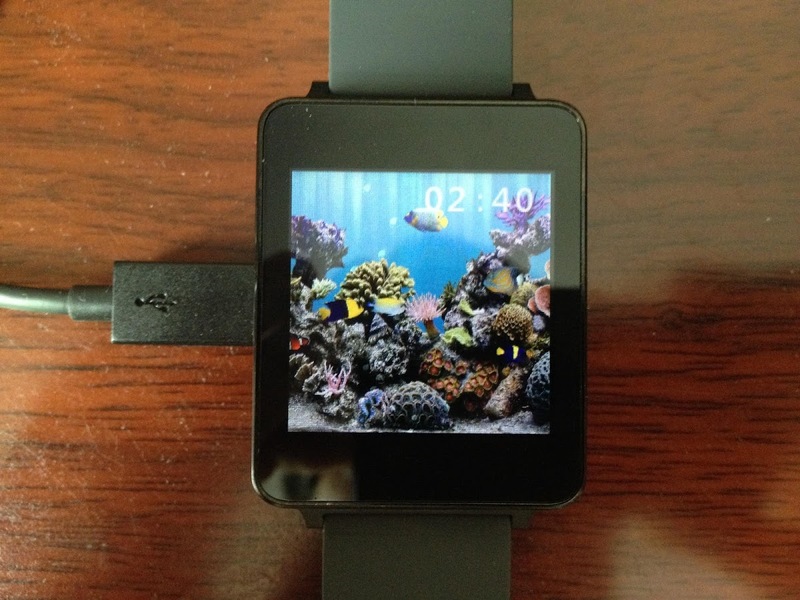 You probably take a hit on battery life, but look at the fishies! Do you want an aquarium as your watch face? Aquarium Watchface is an watch face app to see a live aquarium on your android wear, just acting the same as a live wallpaper on your android phones. The app uses GPU accelerated OpenGL ES to keep animation smooth and consume less power. Stay tuned for aquarium settings in next update. This is the kind of thing that keeps me up at night. Captivate the magic of the universe with this modern planetarium. 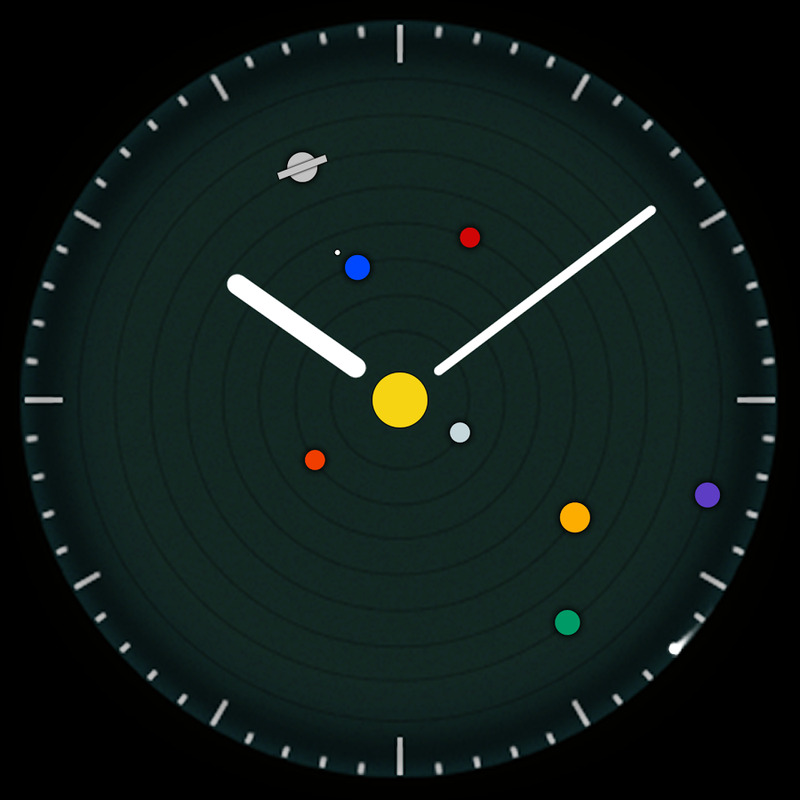 Beautifully rotating planets make your smartwatch stunning eye-candy. 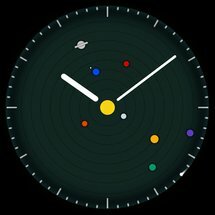 Based on NASA data, this gorgeous astronomical watch displays the current positions of the planets in our solar system on your watch face. 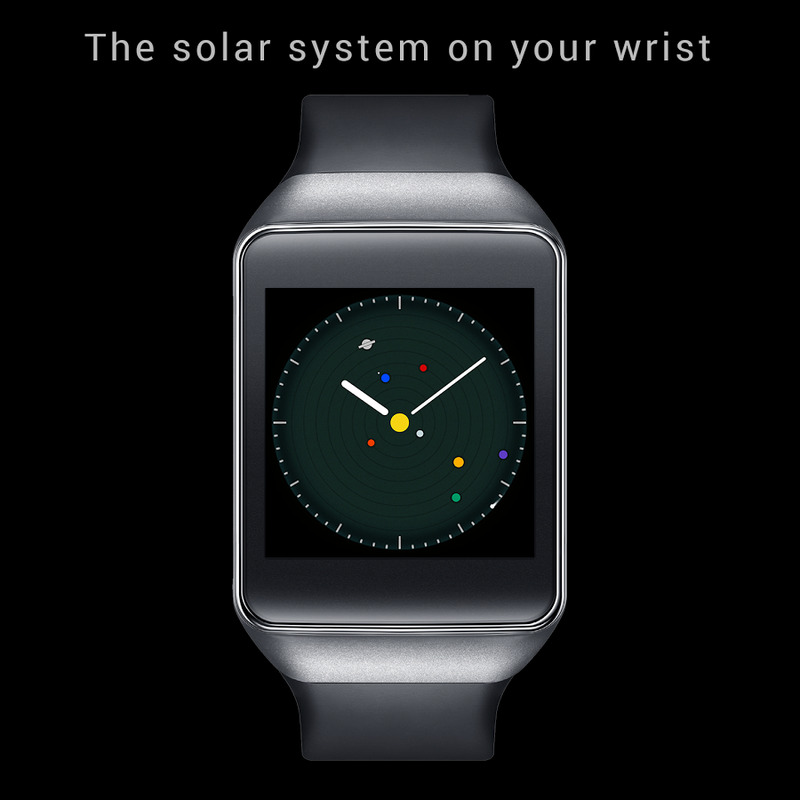 Planets is optimized for smartwatches such as the Samsung Gear Live, the LG G Watch and hopefully soon the Moto 360. Did you spot "Carl the Comet" eagerly circulating the solar system? Magical design made in Germany. 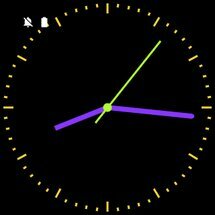 It might not be practical, but this is a watch face that downloads and displays animated GIFs on your wrist. It's fun to play with, but there are still some kinks to iron out. 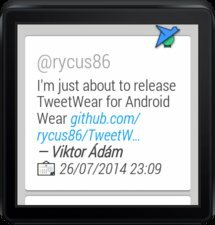 And again, there are issues with the peek cards because of the missing watch face API. 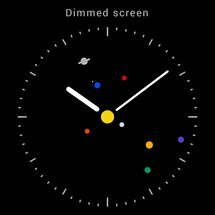 Tired of your boring watch face? 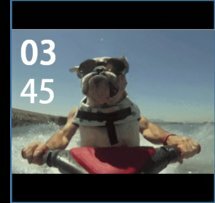 Watch a quick animated GIF every time you check the time. 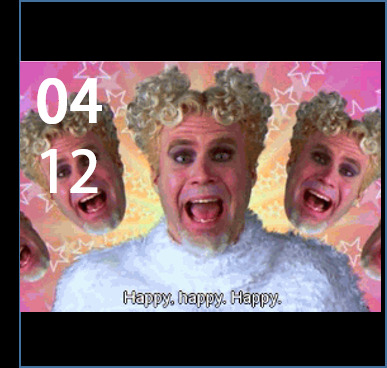 Randomly selected images guarantee a chuckle or a giggle, whatever you prefer. * A random animated GIF for a quick laugh when you check the time. * New popular GIFs pushed to your watch every hour. * And on top of all that, we also give you the time of the day. Now, if and only if the above requirements have been satisfied, fire off an email to this address:[email protected].